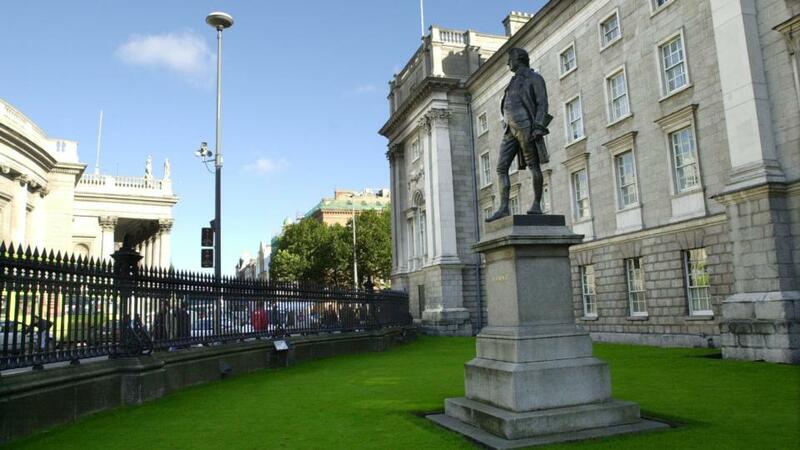 Big crowd in Dublin urged to vote for Right2Change candidates in general election? 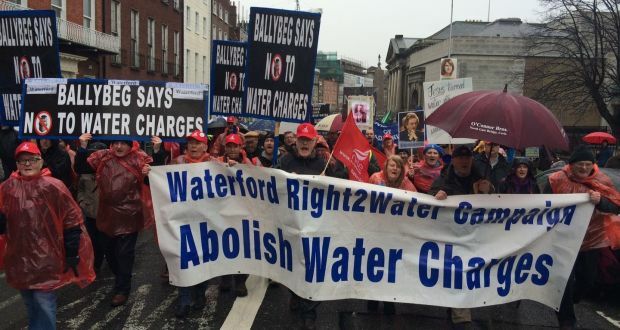 A large pre-election protest against water charges organised by The Right2Water / Right2Change campaign group, has taken place in Dublin’s city centre. Several thousand people took to the streets of Dublin on Saturday in protest against water charges ahead of the general election. There was a large Garda presence on Dame Street and College Green, where the rally gathered to hear from a number of speakers. Addressing the crowd, Unite organiser Brendan Ogle said it was almost a year since several people who protested against water meters were jailed. The demonstration, organised by the Right2Change campaign group, started outside the Garden of Remembrance on Parnell Square at 2pm. The protesters travelled down O’Connell Street and on to the South Quay along Aston Quay, Wellington Quay and Essex Quay. “The community in Jobstown were vilified by the national media and political establishment. 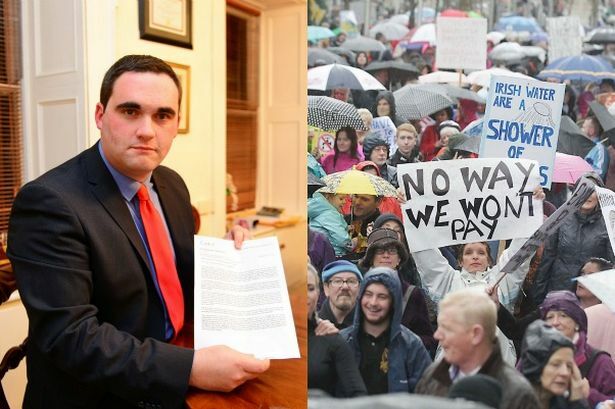 Anti-water charge protesters have been treated with absolute contempt by Joan Burton, the national media and the political establishment,” said Mr Ogle. Mr Ogle called on the crowd to vote for Right2Water election candidates on polling day next Friday. “For the first time in our history, people are being offered the opportunity to vote for a real alternative and to vote for change,” he said. He also asked members of the crowd to donate to those collecting money to help pay the legal costs of those facing charges related to the anti-water charges movement. The Right2Change movement said more than 100 general election candidates have signed up to its policy principles, the majority of whom are representing Sinn Féin. Right2Change is backed by trade unions including Mandate, Unite, the Communications Workers’ Union, the Technical Engineering and Electrical Union, and the Civil and Public Services Union. Speaking ahead of Saturday’s march, Sinn Féin leader Gerry Adams said, “in the last weekend of the campaign Enda Kenny and the Government parties are ratcheting up their scare tactics. Their policy positions have no credibility because for the vast majority of families there is no recovery. “Enda Kenny wants to be returned to power to continue his austerity policies and his chaotic management of the health service. There is a better way to govern our society. To build a fair recovery and a better Ireland, ” Mr Adamssaid. Tánaiste and Labour party leader Joan Burton says her party “are up for a fight” after a leaked opinion poll revealed a hug drop in Labour support. She was speaking on Saturday after a leaked Behaviour & Attitudes opinion poll, commissioned for The Sunday Times, showed the Labour Party is facing a collapse in support. Details of the poll were leaked online last night and were published in theTimes (Ireland edition) Epaper on Saturday morning. It shows Labour’s support at 4%, down from 8% and the party’s lowest level in a B&A poll. Speaking in Waterford today Ms Burton told RTE news she does not normally comment on polls but said the Labour Party would rebound. “I’m a fighter and I’m up for a fight. I’ve never stood back from a fight. That’s what the Labour Party is about and we’re about making people and families lives better,” she said. Her Cabinet colleague Minister for Public Expenditure Brendan Howlin dismissed the poll finding, saying he had knocked on thousands of doors and found there was very little movement in public opinion. “The one thing I’m certain of is that we are not on 4% or anything even in the ballpark of 4%. I’m absolutely sure of that. If you ask me what figure we’re on I don’t know,” he said on Saturday. If the party received this level of support in Friday’s vote Labour would secure only a handful of seats. The poll puts the AAA/People Before Profit grouping on 5%, ahead of Labour. Fine Gael saw its support up two points to 30 per cent, having fallen three points in the previous poll published on February 7th. According to the Fianna Fáil support it at a two-year high in the B&A series at 22 per cent, a gain of 2 per cent on the previous poll. 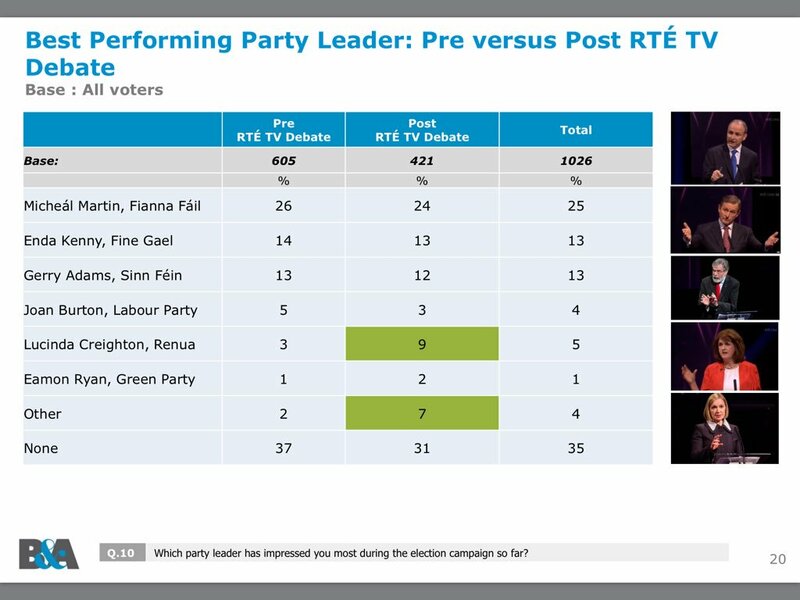 The survey was conducted on Monday and Tuesday, following the leaders’ debate on RTÉ on Monday. Sinn Féin has seen its support decline by two points to 15%. The Independents and Others grouping saw its support rise again, up 4 points to 30%. This group includes the AAA/PBP and the Independent Alliance both on 5% support. The Green party has 3% support, the Social Democrats 3% (a fall of 1%) and Renua 3%, a gain of 1%. Unaligned Independents attract 10% support. The Sunday Times said it was investigating the cause of the leak. “I am bitterly disappointed that this survey has been leaked in advance of publication. There will be a thorough investigation into this matter,” Frank Fitzgibbon, the newspaper’s editor in Ireland, said. Neighbours rally to build flood defences around homes in Ballinstague near Gort, Co Galway after the recent flooding. Hundreds braved the wet conditions to show their support at the National ‘Stop the Flooding’ Rally which took place on Saturday in Athlone. IFA flood project chair and Connacht regional chair Tom Turley addressed the large crowd in Athlone on Saturday at the National ‘Stop the Flooding’ Rally, calling on the Irish government to start work ‘immediately’ on the waterways around the country. “We have the m50 in Dublin, and when the traffic got busy on that, they put an extra lane in. If there’s a car crash or one lane blocked, we around the rest of the country know about it because it’s on the airwaves. “The waterways are the same. There’s bushes, theres rubbish. there’s silt and there’s sewage in all our rivers, and no one wants to do a damn bit about it,” he told the crowd. Turley told An Taisce and other lobbying groups “to get the hell out of the way” so that work could be done. “We’re told by the environmental groups that we should plant more trees. Well it’s hard to plant more trees in a turlough in west Roscommon thats 35ft deep, or along the river Shannon when there’s 16ft of water. “We didn’t see any of them for the last twelve weeks in their vans. They’re not welcome on our farms anymore. We are the environmentalists now,” he said. Turley called for one single authority to look after the waterways. He disregarded the idea of flood defences as a solution, saying it only pushed the problem down the river to someone else. “17 local authorities have a say on the Shannon but none have responsibilty when it comes to your houses, your businesses, your farms being flooded, and your livelihoods being washed away. “Like the roads, we want the same level of interest in our waterways, and we want the work to start as soon as the water recedes. If not [these communities] are going to take it into their own hands,” he said. The trauma that flooding leaves? 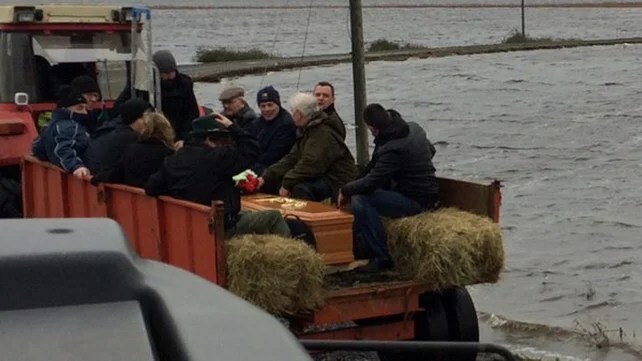 Representing flood victims from the lower end of the Shannon, Geraldine Quinlivan from south east Clare spoke about the trauma her and family have gone through after the floods destroyed their home and farm. “I for one will never forget how I felt when I was forced to move out of my home after three and half weeks of fighting the rising flood water. “On the back of my brothers tractor with one of my sons, I looked back and saw the rest of my exhausted family still manning pumps to see if they could keep the flood water out of our homes, and I vowed there and then that I would do everything I could to ensure that that never happened again, not just to me, but to anyone else either,” she told the crowd. Geraldine said that as far back as 2006, they identified solutions to their flooding issues, which were largely ignored by successive governments. “We have a right not to feel stressed and anxious and afraid in our own homes each yer from November to March. “Flood defences around our homes, a single authority for the river Shannon, better water management, and the cleaning of the river, particularly down near UL, where it’s only operating at a quarter of its capacity – These potential solutions have been largely ignored by successive governements and this has to stop,” she said. Roscommon IFA chair John Hanley said that the government had “forgotten rural Ireland”. “Rural communities have been forgotten about. The physical and mental stress this has caused is absolutely unreal. People are on their knees and it’s time we stood up and took back control. “We have the second so called ‘100 year flood’ in six years. The time for talking is over. Action is required now,” he said. There was one question on the lips of the reporters at Sinn Fein deputy leader Mary Lou McDonald’s press conference: Just who was the mystery man that hijacked the whole thing? It all started in the usual way. M/s McDonald was on Grafton Street outlining how her party would scrap water charges and she was asked about Gerry Adams’ car crash RTE interview. Mary Lou McDonald addresses the person, who identified himself as a small businessman, on Grafton Street. “Anybody can fumble a figure,” was her take on Mr Adams’ apparent difficulty outlining his party’s plans for extra tax on those paid more than €100,000. It was then that the mystery man made his move. “You’re going to kill pensions for middle-income people,” he claimed. “No we won’t,” M/s McDonald replied. “Have you seen the figures or can your leader do the maths?” he asked. “I’m apolitical but I won’t be voting for Sinn Fein,” he added. “That’s fine. That’s your prerogative,” Ms McDonald said. He accused the Dublin Central candidate of wanting to “punish” people “who work hard and try and make a life for themselves”. “No I don’t,” she replied. “You certainly do. Where the State loses more when someone is made unemployed than the person loses there’s something wrong there. When you pay 59% tax?” the man countered. It was then that she had a ‘figure fumble’ herself, saying there would be an “additional seven euro in every cent over the hundred grand for people who earn that”. Of course, she meant an additional 7c on every euro. “Our position is people with deeper pockets, people who have a greater ability to pay, yes, have to pay a bit more and I’m sorry if that upsets you but I’m being honest and I’m telling you that that is the lie of the land. “Absolutely,” M/s McDonald said. It was perhaps the only thing they agreed on but it didn’t last long. The man said he didn’t support any political party. “Really?” M/s McDonald asked. “Yeah, really,” he replied. He said he “probably will be voting Fine Gael” because of their policy on USC. “You want to talk about the hospitals? 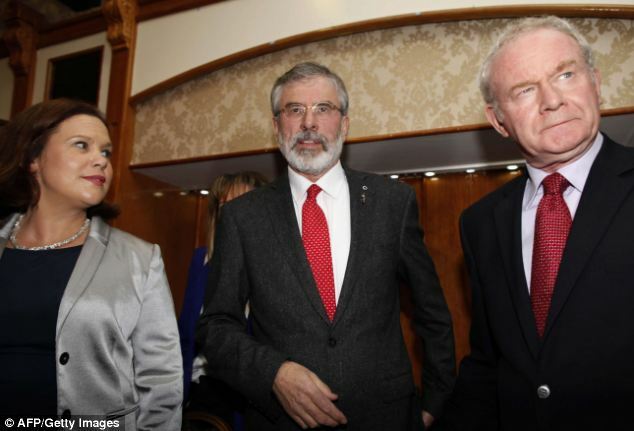 You’re talking about someone who’s had personal experience and I can’t see Sinn Fein sorting that out,” the man replied. He declined to give his name when asked by reporters, saying, “I’ve no interest in talking”, but said he runs a small business. “Sinn Fein annoy me by the way they go around and I just felt so incensed about it,” he said on his intervention and walked off down Grafton Street. M/s McDonald returned to her press conference. “We had a lively exchange there with a citizen,” she said wryly. These are nanoscale glass structures that filter or manipulate light. A collaborative effort from the University of Adelaide and RMIT University developed a stretchable nano-scale device that can be used to manipulate light and filter specific colors while still being transparent, paving the way for the creation of “smart” contact lenses. This technology would allow for the creation of high-techcontacts that could do any number of things: filter out optical radiation without vision interference, transmit data and gather information on vitals, and potentially allow for a HUD, or head-up display. The University of Adelaide researchers specialize in the interaction of light with artificial materials, and the RMITcollaborators had expertise in materials science and nanofabrication, making the project a perfect challenge for the two. “The current challenge is that dielectric resonators only work for specific colors, but with our flexible surface we can adjust the operation range simply by stretching it,” he added. The device uses tiny, artificial crystals it creates, called dielectric resonators, to manipulate light. These resonators are 100 to 200 nanometers in length, 500 times thinner than human hair and a fraction of light’s wavelength. 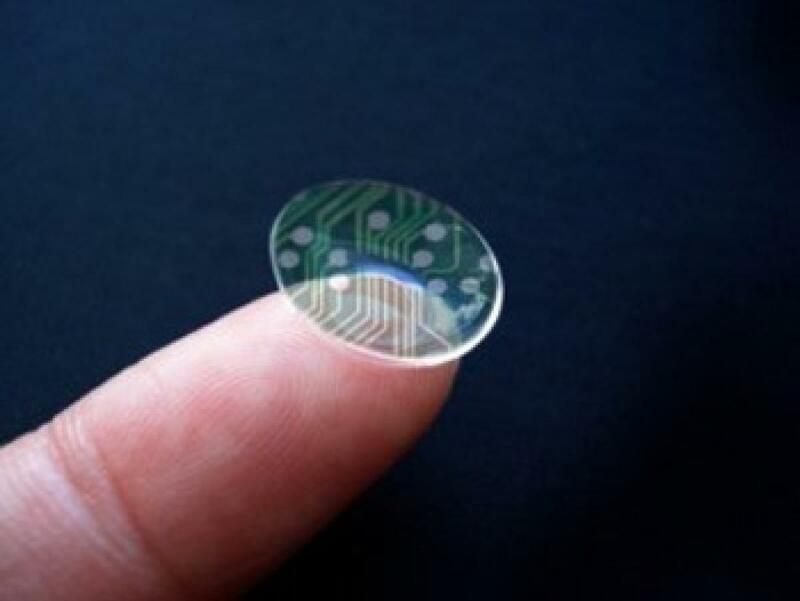 Additionally, the team made the device on a rubber-like material used for contacts, and “embed[ded] precisely-controlled crystals of titanium oxide, a material that is usually found in sunscreen, in these soft and pliable materials. Both materials are proven to be bio-compatible, forming an ideal platform for wearable optical devices,” according to Madhu Bhaskaran, the co-leader of the Functional Materials and Microsystems Research Group at RMIT. The engineering of the materials shape allowed the team to create a device that changes its properties when its stretched, which modifies light’s interaction and ability to travel through the device, according to Bhaskaran. 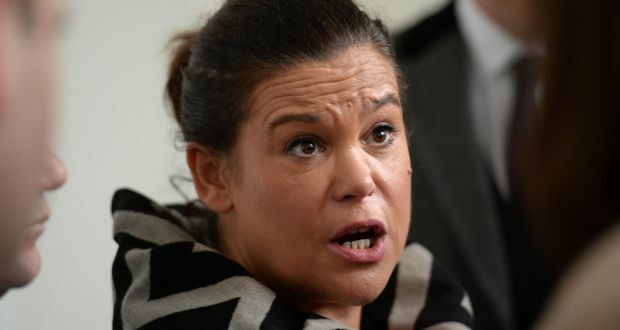 Sinn Féin deputy leader Mary Lou McDonald has said it would be “unforgivable” if other left wing groups did not grasp the “opportunity” of a broad policy platform and transfer pact. Ms McDonald confirmed Sinn Féin is to enter into a vote transfer pact with parties and Independents who sign up to the Right2Change policy platform, which has developed from the anti-water charges movement. However, some left wing parties, such as the Socialist Party-Anti Austerity Alliance, have indicated they will not return the favour by asking their supporters to transfer to Sinn Féin. “I can only speak for Sinn Féin,” Ms McDonald said. “Others now need to do likewise but let me reiterate. There is an expectation and an appetite that is unmissable amongst communities right across this State who want those of us who have argued so strongly against austerity, who have argued investment, who have argued for relief for low and middle income families. Ms McDonald denied the move was an act of “desperation” on behalf of the party, which has dropped back to support levels of about 16 per cent in recent polls. “Far from it. This document and this initiative of months and months of meetings and collaboration and I think that it is a recognition of us and by us, not just to talk about an alternative but to actually do things in a constructive way that make an alternative possible. However, she added Sinn Féin is “of course” seeking to maximise its transfers but said the “driving impulse for this, in the first instance, is about the alternative politics we have been talking about and advocating over the course of the current Dáil”. She said Sinn Féin will have its own manifesto and will seek to increase its own support but said the pact was about maximising “the number of progressive TDs elected to the next Dáil”. “This movement has moved from the initial sole concern around water into considerations of other issues and, as a result of very long discussions and consultations, a platform has been agreed of broad policy principles which we in Sinn Féin are happy to have signed up to and endorse. “We believe there is a great opportunity in the forthcoming election. We believe we need an alternative and a progressive government. The Right2Change movement has indicated those looking to sign up to its principles have until Friday to do so. “For people who have been devastated by austerity, for people who have been alienated from the political process, they are not really interested in small, petty squabbles,” Ms McDonald added. Party councillor Paul Donnelly, who is standing in Dublin West, said he will encourage his supporters to transfer to deputy Ruth Coppinger of the AAA even if she declined to reciprocate. Google paid €28.6m in Irish corporation tax on international sales of €18.3bn last year, new figures show. The internet services giant has its Europe, Middle East and Africa headquarters in Dublin. The latest figures for Google Ireland Ltd show turnover rose nearly 8% last year to €18.3bn; mainly driven by a rise in advertising revenues, generated by Google websites and Google Network Members’ websites. The amount of tax paid here by the company last year was up from €27.7m in the previous year. The latest accounts also show a rise in after-tax profits of €13.3m to €167.9m; while employment here grew 17% to 2,763 direct employees, cementing the company’s status as one of the largest multinational employers in Ireland. “Our Dublin office is the largest Google office outside the US with more than 5,000 direct and contracted employees. “Our ability to find people with the skills and talents we need to be able to build a strong business is hugely important and we’re continuing to recruit great talent in Dublin to support our customers across Europe, from sales and marketing, to developer support and user operations,” said Google Ireland chief Ronan Harris. Google Ireland also invested just shy of €74m in research development and engineering last year. “We continued to invest in Ireland during 2014 and this investment continues in 2015 with the construction of a second €150m data centre in west Dublin. “This further strengthens Google’s commitment to Ireland and ensures we can meet our future growth requirements in the Dublin Docklands area,” Mr Harris added. The number of overseas visitors to Ireland rose by 13.5% this summer compared to the same period last year, according to the CSO. In the period July to September, the total number of trips to Ireland amounted to 2,770,900 — an overall increase of 330,500 compared to the same period 12 months earlier. The number of British visitors rose 13.9% to 1,050,400 while trips by residents of European countries other than Britain increased by 14.6% to 987,000. Trips by US and Canadian visitors to Ireland increased by 12.3% to 550,100 while trips to Ireland from other areas rose by 10% to 183,400. The CSO figures give added substance to Fáilte Ireland’s annual tourism barometer which shows that last summer was a particularly successful season for most Irish tourism businesses, boosted in part by return visitors and favourable exchange rates. According to Fáilte Ireland, paid serviced accommodation providers recorded an excellent year, with a large proportion (78%) of respondents to the survey reporting growth. 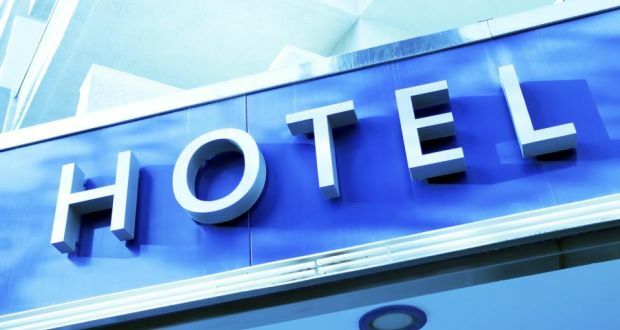 Hotels lead the way, with around four in five (79%) reporting an increase in business, followed by 69% of guesthouses. Even the B&B sector, which has struggled in recent years, is showing signs of improvement, with 70% of operators saying that their business is up so far this year. Accommodation providers were not the only ones who enjoyed a buoyant summer and the majority (79%) of tourist attractions have also seen a boost in the number of visitors welcomed through their doors so far this year — with the overseas markets even stronger — 85% registered growth in visitors from abroad. Restaurants also enjoyed a busy summer, with 58% reporting business to be up overall. Overseas markets have boosted trade for restaurants, with 72% reporting more business from overseas tourists so far in 2015. Repeat visitors have been driving business so far this year and, as a result, this factor maintains its place as the most frequently mentioned (69%) positive factor this year. “Tourism appears now to be firing on all pistons with every sector of the industry now enjoying greater growth,” said Fáilte Ireland chief executive Shaun Quinn. “We have been particularly blessed this year by favourable currency rates but these aren’t steadfast and it will be important for tourism businesses to ensure they are not stranded if that tide goes out,” he said. Sarcastic people are often dismissed as sneering smart alecs – but having one around can actually be a good thing, at least at work. There’s just one caveat: everyone has to ‘get the joke’, or it doesn’t work. New research from Harvard Business School suggests that the process of understanding what a sarcastic person really means can make people more creative. In other words, the process of ‘working out’ whether someone is being sarcastic helps people to think creatively. Harvard’s Francesca Gina says, ‘To create or decode sarcasm, both the expressers and recipients of sarcasm need to overcome the contradiction (i.e., psychological distance) between the literal and actual meanings of the sarcastic expressions. ‘This is a process that activates and is facilitated by abstraction, which in turn promotes creative thinking. The researchers monitored people’s responses to creative tasks while involved in simulated conversations – some sarcastic, some not. 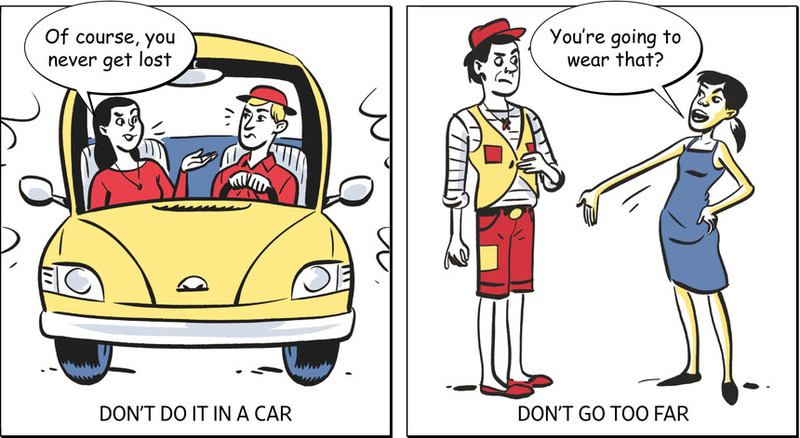 ‘Our study suggests that sarcasm has the potential to catalyze creativity in everyone. 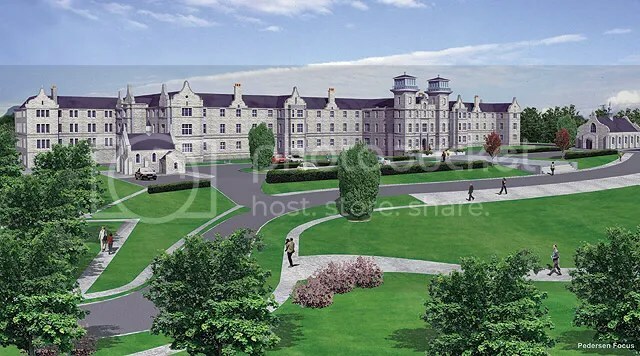 One of Ireland’s most distinctive hotels, the Clarion Hotel in Sligo, is to be sold at a fraction of the expense involved in converting and fitting out what was originally a mental hospital. Agents Savills are guiding €7 million for the now profitable four-star business which is to be sold on the instructions of Aiden Murphy of receivers Crowe Howarth. Part of the €45 million in funding for the hotel was provided by KBC Bank and AIB. The hotel has larger-than-usual public facilities and 162 spacious bedrooms including 89 family suites which are uniquely large and comfortable. 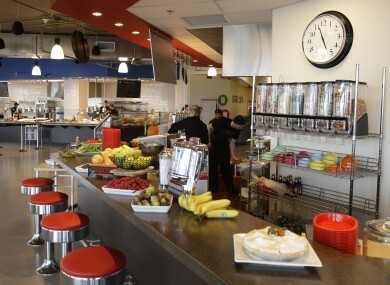 It also has a range of food and beverage offerings including the Synergy Restaurant, Kudos Restaurant and Savour Lounge. Not surprisingly, it is an extremely popular wedding venue with no fewer than two private churches in the grounds – one of them is frequently used for marriages – and seating capacity for 350 guests in the main reception room. .
Aaron Spring of Savills says the Clarion is the first full-service hotel in the west of Ireland to have come on the market since the economic crash. As such it has a superb health and fitness club with approximately 800 members who use the full-equipped gym, 20m heated indoor swimming pool, sauna and steam room, jacuzzi, aerobics and fitness studio and an “essence” spa. The much-improved fortunes of the hotel have been greatly helped by the ever-increasing popularity of Sligo as a holiday destination. Sligo’s location along the Wild Atlantic Way has helped the local tourism industry. Tom Barrett, head of hotels and leisure at Savills, describes the Clarion as “one of the largest and most profitable hotels in the northwest of Ireland”. He said a new owner would not be tied down by the current management agreement. The handsome Elizabethan-style building dates from 1847 and was originally known as St Columba’s Lunatic Asylum. It took six years to build at an overall cost of €53,199. The home accommodated up to 1,100 patients from Sligo and Leitrim who no longer had to travel to Ballinasloe “to be confined”. It closed in 1992 and lay derelict until it was converted into a hotel which opened for business in 2005. The unprecedented discovery of fossilized dinosaur feathers gives scientists information they’ve been seeking for years. Answering why dinosaurs had feathers is as tricky as answering why birds have feathers, only it’s harder because all the remaining dinosaur feathers have been embedded in rock for the last 65 million years or more. 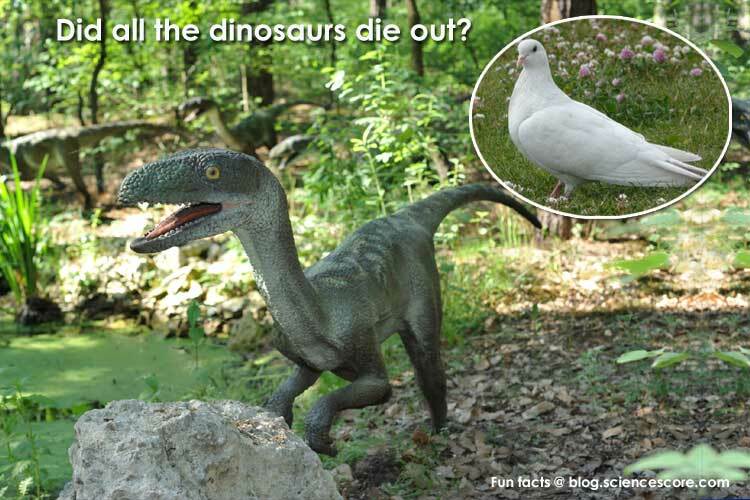 On top of that, birds are still technically dinosaurs. We’ll get to that, but for now the point is that not all bird feathers are for flight. Take the ostrich as an example; its feathers help it regulate its temperature in warm and arid climates. 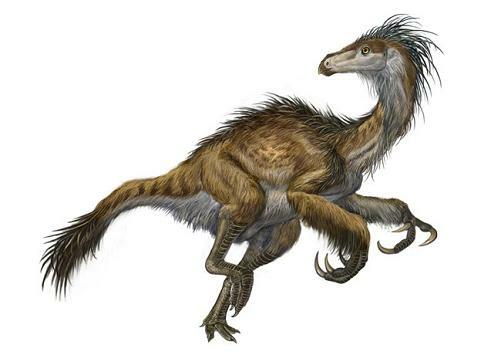 Yesterday, research published out of the University of Alberta concluded that the feathers of the ornithomimus served a similar purpose in the late Cretaceous climate of Alberta. The ornithomimus specimen that led to this discovery was first uncovered in 2009 in Dinosaur Provincial Park, encased in a giant slab of rock. Because the fossil was missing it head and forelimbs, it was mostly left alone in lieu of higher-priority fossils. Lead paper author Aaron van der Reest was tasked with opening up and preparing this fossil as an undergraduate project. In the tail area, Reest discovered that, remarkably, the dinosaur’s feathers, in addition to its bones, had become fossilized. This is extremely uncommon because softer tissues rarely withstand the hardships of fossilization and sitting for millions of years. The preservation of the feathers turned out to unprecedented among all other specimens found on this continent. Said curator of vertebrate paleontology at the Royal Ontario Museum in Toronto, David Evans, in an interview with The Globe andMail, “It’s drop-dead gorgeous. It is the most completely feathered dinosaur specimen found in North America to date.” Also present was a patch of the ornithomimus’s leg skin, which, similar to modern birds, didn’t have feathers at all. The basic structure and bodily attachment of the ornithomimus’s feathers bore a strong resemblance to what’s found in ostriches. This led Reest and his co-authors to conclude that the ornithomimus’s feathers were used for thermal regulation, just as ostriches’s do today. So what’s an ornithomimus? The name literally means “bird mimic” from the Greek words ornith (bird) and mimos (mimic). Don’t get too attached to this etymology, because in terms of how it relates to birds it just confuses things. Another Greek word “sauros” (meaning “lizard”) makes a regular appearance in naming and categorizing dinosaurs, but don’t get attached to this either because as far as reptiles (or more generally sauropsids, which includes both reptiles and birds) go, lizards are more closely related firstly to snakes and secondly to turtles, than they are to crocodiles and dinosaurs (meaning “terrible lizards”). Confused yet? Scientists were too for a long time, and since then the names have all stuck. So what does the ornithomimus have in common with today’s birds? They’re both saurischian dinosaurs, meaning “lizard hipped” dinosaurs. Saurischian dinosaurs included sauropods (meaning “lizard footed”) such as the long-necked brontosaurus (yes, it’s real again) and theropods (meaning “beast footed”), such as the T. rex and the velociraptor as well as the ornithomimus and modern birds. As far as we can tell, practically all theropods had feathers. Ornithomimus and modern birds are also belong to a further subgroup called coelurosauria (meaning “hollow tailed lizards”), but here is where they finally split off from each other about 85 million years ago. Modern birds all evolved from a subgroup called the maniraptorans (meaning “hand snatchers”), whereas the ornithomimus belongs to a different subgroup called ornithomimosaurs (meaning “lizards like birds”). 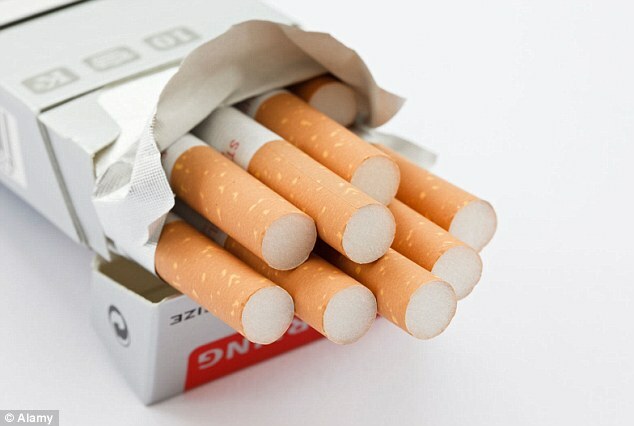 Could cigarettes price rise to €10.50 a packet? A hike in the price of cigarettes will be used to help pay for a dramatic reduction of 2% in the Universal Social Charge (USC). The cut in the controversial USC is set to form the centrepiece of the Budget. Reducing the tax is part of a plan to cut the marginal rate to below 50%, it has been learned. This country now has one of the highest marginal rates of income tax in Europe. It is also understood that the entry point at which people begin paying will be raised in order to bring to more than 500,000 people out of the USC net, along with cutting the main 7% rate. 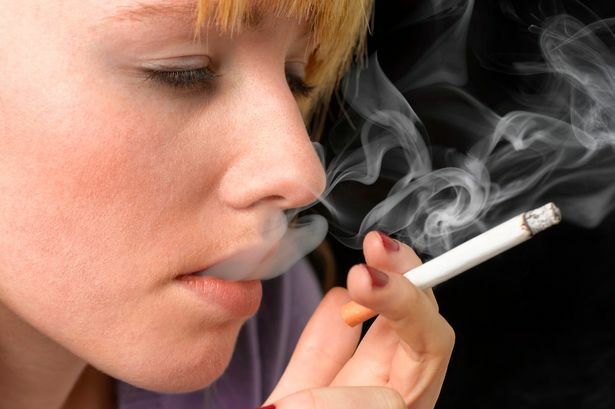 Have Your Say: Do you think smokers should be taxed extra to slash the USC? The aim is to remove a further 90,000 from the USC by increasing the threshold in Budget 2016. But big gains will be in store for middle-income earners from cutting the main 7% USC rate. Around 1.28 million taxpayers will gain from a reduction in the USC’s main rate. People earning up to €70,044 pay the main 7% rate. Dropping the main rate to 5% would see all these people make big gains. 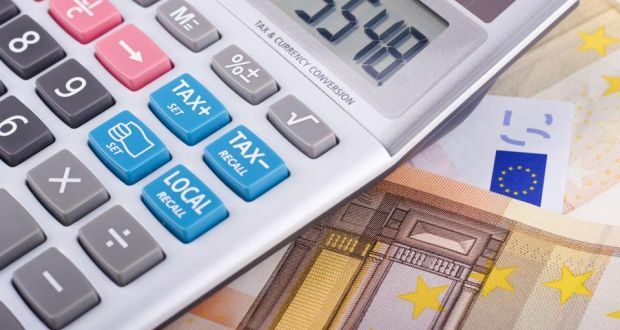 A single earner on €36,000 would gain around €374 a year if the main rate comes down by two percentage points, according to calculations by the Irish Tax Institute. Someone earning €75,000 a year would gain €1,049 a year. This would meet Finance Minister Michael Noonan’s criteria to ensure that income tax changes only benefit what he considers to be middle earners – those earning less than €75,000. 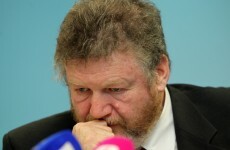 In recent days, Children’s Minister Dr James Reilly has been pushing for an increase of at least 50c in the price of a pack of 20 cigarettes, coalition sources revealed. This would bring in an additional €63m in revenue. It is expected that the extra revenue will used to part-fund the reduction in the USC rate, which is expected to cost around €150m. “The revenue from more tax on cigarettes will help fund a cut in the USC of 2%, rather than the original plan for a 1.5% reduction,” a source familiar with the situation said. Cutting the USC rate by two percentage points would bring the marginal tax rate to 50% from the 52% for PAYE (pay as you earn) workers now. The marginal rate is the amount of tax that people pay on what is regarded as higher rates of pay. However, in this country, it kicks in at €32,800 for single earners. The Government is also seeking to increase the €12,012 USC entry point by €1,000, a move that would mean thousands of workers would no longer have to pay it. Some 300 new teaching posts will be created in September as the Government moves to reduce the pupil-teacher ratio. Senior government sources have indicated that the ratio, currently set at 28 pupils per every teacher, will be cut by one after next Tuesday’s Budget. The cut, which has been secured by Education Minister Jan O’Sullivan, is due to come into effect from September of next year as around 300 new teaching posts are created. Class sizes were increased during the crash but senior Government sources have confirmed that Ms O’Sullivan is set to deliver the good news of reduced class sizes. Ms O’Sullivan has repeatedly said that reducing class sizes was a “major priority” for her and she has strong support from her Fine Gael colleagues to fund the additional posts. 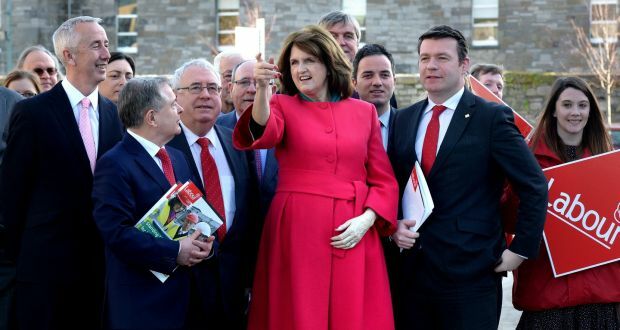 Further details of Tánaiste Joan Burton’s welfare package for the elderly have also emerged. It has been confirmed that there will be an increase in the Christmas bonus to €115 per pensioner and €220 per couple. Fine Gael has lost the battle on getting a €5 increase to the old age pension. There was strong support for an increase, but Ms Burton and her officials have refused to accede to their demands, instead focusing on other measures for elderly people. It is understood that the Tánaiste is prioritising the restoration of the Christmas bonus, which she sees as a major boost to pensioners. She is also likely to increase the Living Alone allowance, but late last night it emerged that Ms Burton is seeking to increase the €1,375 respite care grant. Thirty-six highfliers at Nama earning over €100,000 are to exit the agency door at the end of the year with an average payoff of €42,000 each. According to Finance Minister Michael Noonan, 50 Nama employees have opted for the agency’s voluntary redundancy programme as the agency winds down its operations. In a written Dáil reply to Fianna Fail’s Michael McGrath, Mr Noonan confirmed that 36 of the 50 to opt for voluntary redundancy earn €100,000 to €200,000, with the remaining 14 workers earning less than €100,000. 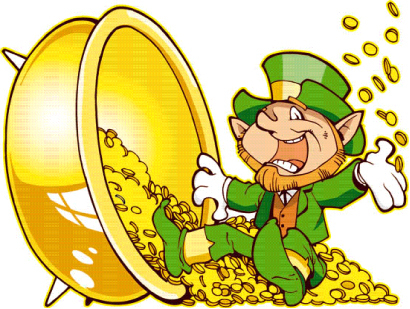 Mr Noonan confirmed no employee earning over €200,000 at Nama has opted for the voluntary redundancy scheme. According to Mr Noonan, the departure of the 50 employees will save the agency €5.3m annually. “These costs include base salary, employer PRSI costs and employer pension costs,” said Mr Noonan. He said the cost of the voluntary redundancy scheme for the 50 staff will be about €2.1m, which works out at an average redundancy payment of €42,000 each. Yesterday was the deadline for acceptance forms to be lodged with Nama’s redundancy scheme and Mr Noonan said the figures were “indicative until agreements have been signed and returned”. In response to the agency advertising the terms of voluntary redundancy programme to its workforce, almost a quarter of the workforce expressed an interest. However, bosses at Nama put a halt to a third of those seeking to leave the agency by the end of this year. Figures provided by Mr Noonan show the agency received 80 applications from staff seeking to avail of the scheme’s generous terms announced earlier this year. The agency is seeking to reduce its workforce by 51 from 342 to 291 by the end of the year. In response to the scheme being over-subscribed, Nama rejected 26 of the applications to leave, with three staff changing their mind and opting to stay and one employee who had opted for the voluntary redundancy scheme deciding to leave now. Nama is seeking to further reduce its workforce to 125 by the end of next year as it winds down its operations. Based on the payments in the current redundancy plan, the agency will pay €6.97m for a further 166 employees to take the redundancy package in 2016 but save the Agency €17.5m in annualised savings. The terms of the Nama redundancy scheme are in line with established public sector norms and grant two weeks’ statutory pay per year of service, capped at €600 per week, plus three additional weeks of base salary per year of service with an overall cap of two years base salary. Average pay, including pension contributions, at Nama in 2014 was just over €110,000 a year or €2,115 a week. Mr Noonan has previously confirmed the overall cost of Nama’s redundancy scheme and appropriate staff retention measures agreed with Nama will not exceed €20m. Nama was set up in 2009 to run for a fixed 10-year period. Staff working at the agency are employed by the National Treasury Management Agency on fixed-term contracts and seconded to Nama. The decision to slash staff numbers relatively early in the proposed 10-year life of Nama follows last year’s decision to speed the selloff of Nama assets in order to repay 80% of its original €32bn of senior debt by the end of 2016. “There is now a considerable degree of uncertainty about the future of Nama, with the minister for finance seemingly back-tracking on his plans for an early wind up in favour of it turning it in to a property development agency,” said Mr McGrath. The Government has rejected Sinn Féin plans for an annual public holiday starting next year to mark the 1916 Rising, despite opposition claims coalition advisers backed the move two years ago. Equality Minister Aodhán Ó Ríordáin turned down the proposed Lá na Poblachta — a national independence day — after it was raised by Sinn Féin’s Aengus Ó Snodaigh, and backed by Fianna Fáil. Speaking during a Dáil debate on the issue yesterday, Mr Ó Snodaigh said the proposed legislative change would see April 24 become an annual national holiday. Mr Ó Snodaigh also said the issue would address the gap between Ireland’s nine public holidays and the EU average of 11, and that when he raised it “in February 2013 at the all-party commemorations committee I received the backing of the Government’s advisers, albeit for a single year’s holiday next year”. However, Mr Ó Ríordáin said the Coalition will not back the plan as “there was no demand” during previous 1916 Rising commemoration research, that it would “seriously dilute” existing Easter-based Rising celebrations, and that the plan has not been properly costed. He said the Rising events next year must be a “time for reflection, celebration, and commemoration” and should not be based on a “singular narrative” from one group. The opposition plan is expected to be voted down by the Government on Tuesday. A rural community is reeling following a spate of break-ins and acts of vandalism. The Tubbercurry area in south Sligo was targeted by at least one gang last weekend and a number of homes, shops, private cars and the local national school were all damaged. Tubbercurry is the largest town in Co Sligo and its proximity to major routes makes it easy for travelling gangs to escape, according to local Councillor Jerry Lundy. The spate of attacks over last weekend have yet again underlined the need for a full time garda presence in Tubbercurry, Cllr Lundy insisted.. The garda station in Tubbercurry is open only from 9.30am to 1pm Monday to Thursday and local public representatives have been repeatedly tried to have the opening hours extended. “It’s the call of the community here in Tubbercurry and in south Sligo to have a full time garda station open 24 hours here in Tubbercurry. There has been a spate of break-ins, robberies and vandalism over the weekend. “While Gardaí in Tubbercurry are doing their very best, they need more resources, better transport and the station in Tubbercurry needs to be open on a full-time basis”, Cllr Lundy said. The blight of rural burglaries and break-ins has spread terror through many parts of the farming community across Ireland. Speaking at a specially convened public meeting in Thurles on Thursday, Mary Morris from Knockmore, Tipperary, explained the personal toll the rising crime wave has had on her life. Morris said she now keeps a licensed gun in her house for her protection. “Nearly four years ago we were visited by thieves,” she said. “What they took were only material things, worth a couple of thousand euro. But for me they had great sentimental value; they belonged to my late husband. “I live on my own now. I have an alarm in my house, and I have two dogs. But it’s not nice living on your own in rural Ireland any more,” she continued. “I stay up at night time – I might go to bed around four o’clock.” She accused Taoiseach Enda Kenny of “failing to take action” to adequately tackle rural crime. “I never thought I’d be going to bed at night with a gun in one corner and spare cartridges in the room next door,” she said. Irish scientists take lead in DNA testing from man buried 4,500 years ago in Ethopian cave. Irish scientists were deeply involved in a study that has revealed surprising new findings about the migration of ancient farmersback into Africa. The study was based on the analysis of ancient DNA recovered from the skull of a man buried 4,500 years ago in a cave in Ethiopia. The study was led by the University of Cambridge but the DNA recovery and sequencing involved researchers based at Trinity College Dublin and University College Dublin. Most people are familiar with the idea that there was a migration of early humans who moved out of Africa to colonise Europe and Asia between 60,000 and 125,000 years ago. What is less well known is the fact that a substantial number of these migrants returned to Africa much more recently between 3,000 and 3,500 years ago. 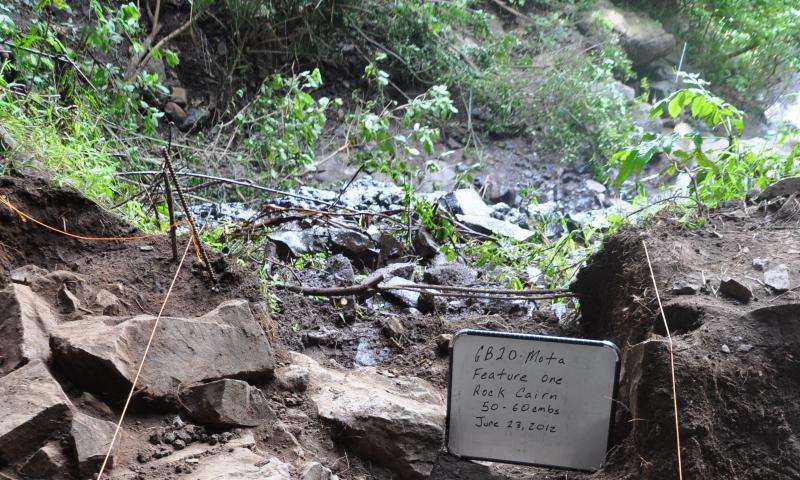 This migration and its timing has now been confirmed after the successful copying of a full genome from the skeleton in the Mota Cave in the Ethiopian highlands. This is the first ancient DNA from Africa to be sequenced, said Ron Pinhasi, associate professor in UCD’s school of archeology and theEarth Institute. He was co-senior author of the study published on Thursday in the journalScience. He developed the technique of extracting ancient DNA from the thick “petrous” bone located at the base of the skull behind the ear. “This migration is new, it has been suggested but nobody before us actually had the capacity to get this DNA for analysis,” he said. Why these migrants travelled back into Africa is a mystery but archaeological evidence links them to new crops developed in the Levant and brought to east Africa including wheat and barley. The DNA confirms the migrants were from what is now the Middle East and were direct descendants of the Neolithic farmers who brought agriculture into Europe 7,000 years ago but then returned to Africa 4,000 years later. “It’s quite remarkable that genetically speaking this is the same population that left the near east several millennia previously,” said PhD researcher in genetics at Trinity College Dublin Eppie Jones, who led the laboratory work to sequence the genome. These western Eurasians mainly settled in the Horn of Africa but didn’t stay put, said Prof Marcos Gallego Llorente from Cambridge and first author. These migrants “seeped right across the continent, way beyond east Africa”, from the west coast and south to the heart of the Congo, he said. People from these areas show this in their DNA with up to seven per cent of their genomes derived from the Levant migrants. 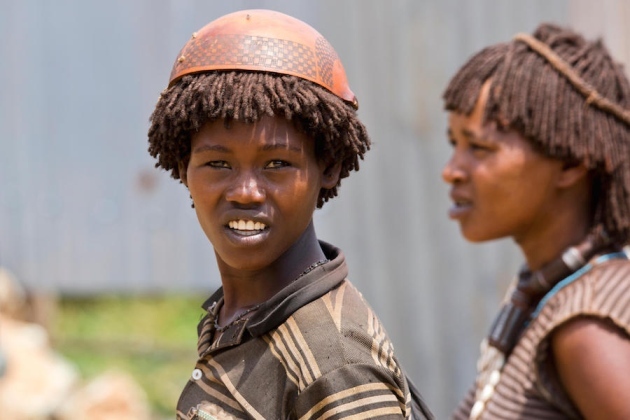 The genetic impact of the migrants was much greater in east Africa, where the DNA of today’s populations are up to 25 per cent derived from the migrants. “What was surprising was the migrant DNA was distributed all over Africa and all modern Africans have this mixture,” said Prof Pinhasi. Alan Kelly says Nama-owned hotel will be purchased and used to house the homeless. The Minister for the Environment Alan Kelly has published a €25 million Government plan to tackle homelessness on this Tuesday. A €25 million Government million plan to tackle homelessness pledges to provide additional emergency beds by the end of the year and set up a night cafe for homeless people; and provide free transport to available hostels. The 20-point plan was announced by Minister for the Environment Alan Kelly after being approved by Cabinet on Tuesday morning. A Cabinet sub-committee discussed the policy paper on Monday ahead of the weekly meeting of Ministers. Other major points of the plan include a commitment to purchase a hotel under the control of the National Assets Management Agency (NAMA) and use it to provide accommodation and an assessment centre for homeless families. It is expected the hotel, which has yet to be identified, will be available by April of next year. Mr Kelly is also to issue a direction to the four Dublin housing authorities to allocate 50 per cent of all housing allocations to homeless households and other vulnerable groups for the next six months. This will provide homes for approximately 500 people, according to the Minister. The plan was published during a visit by Mr Kelly and Minister of State Paudie Coffey to the Dublin Region Homeless Executive’s ‘one-stop-shop’ advice office in Parkgate Street, Dublin. It was also attended by Lord Mayor of Dublin Christy Burke as well as representatives from the HSE, homeless services, local authorities, and non-government agencies working with homeless people. Mr Coffey said solutions to the issue of homelessness would only be found by pooling resources. Mr Kelly said he had made a commitment that every homeless person in Dublin who needed a bed or emergency accommodation will be provided for before Christmas. He said those who choose to stay on the streets will have access to the night cafe. That will be a contact point as well as providing food, a rest area, and access to showers, he said. It will facilitate up to 50 people and will operate throughout the night on a seven days basis. The cafe will open next week and will become fully operational from January 2015. Mr Kelly said the plan delivered on the commitments he made at the homeless forum last week. “It also puts in place medium and longer term measures in response to issues highlighted by the special forum. “For example, we must also cater for families with children whose urgent need is for emergency accommodation and for people who are currently in private rented homes but are in danger of becoming homeless. “Our long term ambition is by the end of 2016 we will end the scourge of involuntary long term homelessness,” he said. “It’s not about money, it never was. It’s about making sure that we end homelessness,” Mr. Kelly added. He said the 260 emergency beds were scattered all over Dublin and the authorities were working on plans for Cork, Limerick and Galway. He said he was confident that the number of emergency spaces available in January. Stay in Your Home: A campaign to make tenants aware of their rights and provide assistance to families in danger of their homes. A total of 1,046 vacant properties will be brought back into use to utilise as housing on an emergency basis. Banks will be asked to discuss the ‘buy to let’ sector with the Department to see if there is possibility of finding solutions for those in hardship. “For anyone who is confused, Sinn Fein is no longer associated with the use of violence.” Now Irish singer Sinead O’Connor has joined the Sinn Fein party. The entertainment star took to Facebook last night, to share the news with her fans, on what was her 48th birthday. 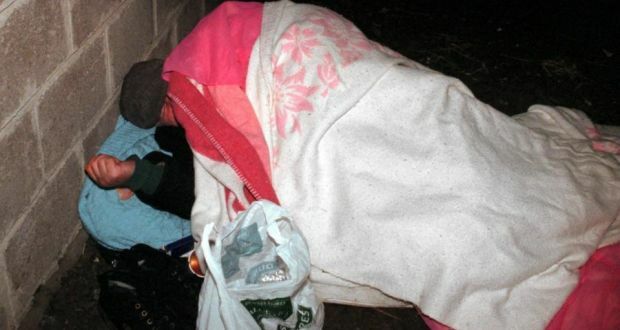 The Minister for the Environment Alan Kelly has published a €25 million Government plan to tackle homelessness this Tuesday. A €25 million Government million plan to tackle homelessness pledges to provide additional emergency beds by the end of the year; set up a night cafe for homeless people; and provide free transport to available hostels. Mr. Kelly said the plan delivered on the commitments he made at the homeless forum last week. “It’s not about money, it never was. It’s about making sure that we end homelessness,” Mr Kelly added. “I joined Sinn Fein today,” she wrote. “Because resolving issue number one is the way to resolve all current issues. “Issue number one is we don’t own our country. “I might not even be the kind of person they want, because I’m gonna write here that I feel the elders of Sinn Fein are going to have to make ‘the supreme sacrifice’ and step down shortly in the same way the last Pope did. “It was the smart thing for him to do because his association in people’s minds with frightful things meant the church were losing bums on seats, if I may use a showbiz term. “And now they have barely a seat to spare. “Pure cold business. “There’d be a zillion per cent increase in membership of Sinn Fein if the leadership were handed over to those born from 1983/1985 onward and no one associated in people’s minds with frightful things. “Frightful things belong where they are now, in the past. “That increase would resolve issue number one. “Ergo all current issues would be resolved . “People are open to it now. 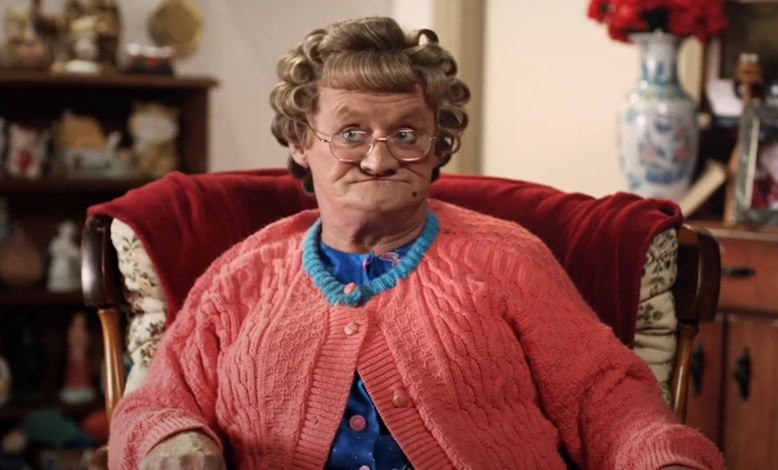 A Sinn Fein spokesperson said the party welcomed Ms. O’Connor’s membership application and that it was being processed. 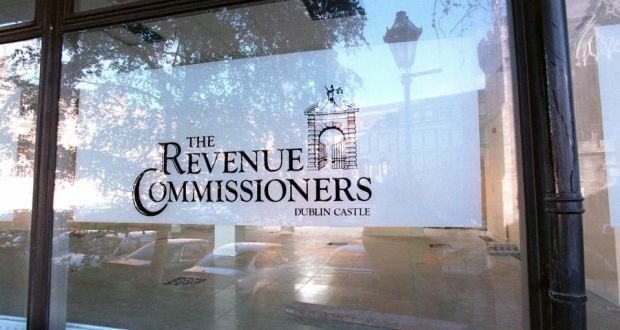 A Dublin-based amusement park operator, a Co Sligo farmer and a Dublin company director topped the latest list of tax defaulters. The 107-strong list, published by the Revenue Commissioners, made settlements totalling €19.64 million. The largest settlement was made by fair and amusement arcade operators Groundview Limited, of 15 Lower Mount Street, Dublin 2, which used to operate Dawson’s amusement arcade on the Bray seafront before it was demolished. The company, whose directors are listed as Peter Courtney and Fergal Fogarty both with addresses in Howth, made a settlement of €2.39 million that related to the under-declaration of income tax. This was followed by farmer Joseph P Clarke, from Carrowkeel, Beltra in Co Sligo , who made a settlement of €1.38 million for the under-declaration of capital gains tax following a Revenue audit. In third place was Dublin company director Frank O’Reilly, from Charlestown Complex, St Margaret’s Road in Finglas, who settled for €1.35 million again relating to the under-declaration of income. Mr O’Reilly is a director of car maintenance and repair firm Multipart Automotive Limited, which is based in Ballybough in Dublin. The rest of the list, which covers the three-month period to the end of September, included building contractors, restaurateurs, medical practitioners and company directors. Of the 107 published cases, 33 were for amounts exceeding €100,000; of which 10 exceeded €500,000. In total, there were five settlements which exceeded €1 million. The Revenue said nine of the 107 settlements, yielding €3.89 million, related to its investigation into offshore assets and funds. A total of seven landlords were on the list but the Revenue said there was no particular focus to its ongoing tax investigations. A spokeswoman confirmed there had been a greater concentration on cash businesses and the rental sector in the years since the financial crash. Sablecross, a company involved in the supply of security services with an address in Santry, north Dublin, made a settlement for €1.15 million for the under-declaration of PAYE, PRSI and VAT. Colm Kearins, a cattle dealer also from Co Sligo, also made a settlement from €1.06 million for the under-declaration of tax and capital gains tax following an audit. Another sizeable settlement was made by Dublin company director James Moran from Dalkey Avenue, Dalkey. Mr Moran, who is a director of Access Control Technology Limited – a Dublin-based company involved in the supply of control products for the security industry, made a settlement for €926,000 again for the under-declaration of income tax and for offshore assets. Another notable was the publican and restaurateur Frank Gill, associated with the well-known Monks restaurant inBallyvaughan, Co Clare, who settled for an amount of €73,000 related to the under-declaration of income tax and VAT. Minister for health Leo Varadkar: said there was little point in economic recovery if it did not mean more money in people’s pockets or in improved services. If the economy is growing by 3 or 4% annually, then the health service should be seeking increases in its budget of the same amount, the Minister for Health has said. Leo Varadkar said there was little point in economic recovery if it did not mean more money in people’s pockets or in improved services. However, in the past the provision of increased resources had not always resulted in better services. The Oireachtas committee on health and children approved a €680 million supplementary budget for the health service for this year. 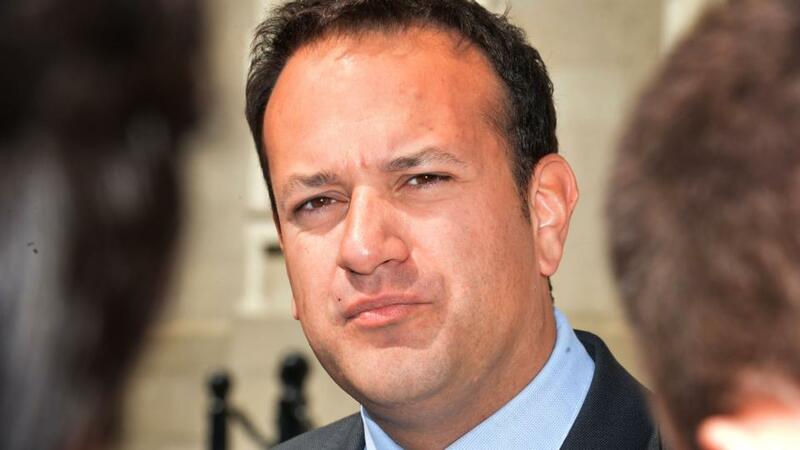 Mr Varadkar said at the committee hearing that the HSE would start 2015 with a clean slate financially, although some voluntary hospitals would carry forward a deficit. He said there were “upside risks and downside risks” associated with the health budget for next year. On the plus side, “we could do better on drug savings or receive more income from health insurers”. However on the downside demand for services could increase while assessing the cost of dealing with negligence claims was unpredictable. The Minister added that he believed he had succeeded in his objective of securing a “realistic” health budget for next year. However he would be “insisting that in return, those who hold budget responsibility must plan and deliver services within the resources available”. Next year could be the most exciting for butterflies for a generation following the appearance of a rare species for the first time in more than 60 years, experts have said. Conservationists disclosed that there were around 30 sightings of the scarce tortoiseshell in 2014, with many more thought to have arrived in Britain “undetected”. The butterfly has been spotted in areas as far apart as Devon, the West Midlands and Tyneside. Its only previous sighting in this country was in 1953, when it was seen in Sevenoaks, Kent. Butterfly Conservation, a wildlife charity, said that, with the help of a cold spell, the insects could survive their winter hibernation to emerge in 2015. They would be the first of their species to do so since records began more than 300 years ago. Conservationists also hope that the large tortoiseshell and continental swallowtail — both of which are very rare in Britain — could survive the winter and emerge next year after several sightings over the summer. The first scarce tortoiseshells to be seen since 1953 were reported in July in Norfolk, Suffolk, Kent and Lincolnshire. Although experts are still verifying the overall number of sightings, the total reached around 30 across the country, a spokesman for Butterfly Conservation said. The large butterfly, also known as the yellow-legged tortoiseshell, is generally found in central and eastern Europe and as far afield as China and Japan. It prefers very cold conditions, meaning that a particularly chilly winter would increase the likelihood that it would successfully hibernate over the winter and emerge in March or April next year. Meanwhile, continental swallowtail butterflies, which hibernate as chrysalises, emerged as adults along the coast from Suffolk to Dorset. They were the offspring of an influx of the species in 2013 — the largest in the UK since 1945 — as a result of the warm, sunny summer. Their yellow and black markings and streamer-shaped tails give them a tropical appearance and make them particularly distinct from the most common species in Britain. They are slightly larger than domestic swallowtails, which are restricted to the Norfolk Broads. Butterfly Conservation said that if the species managed to “overwinter” for a second time and emerge again in southern England next year it would appear that it was attempting to establish colonies in Britain. The continental swallowtail has the potential to become “a regular visitor to our gardens” within two decades, the charity said. The large tortoiseshell, which stopped breeding in the UK more than 40 years ago, was also seen regularly in southern England during the summer. There was a spate of sightings of the clouded yellow, a visitor from mainland Europe, last month, raising the prospect that it too could survive into next year. Dr Brereton added: “The emergence and immigration of continental swallowtails and scarce tortoiseshells has made 2014 a truly remarkable butterfly year and, with a bit of luck, 2015 could shape up to be even more memorable. “There have been lots of exciting stories recently of birds, dragonflies, moths and other insects colonising the UK as the climate has warmed up. A reverse on water charges would need a 4% tax increase says Kenny? 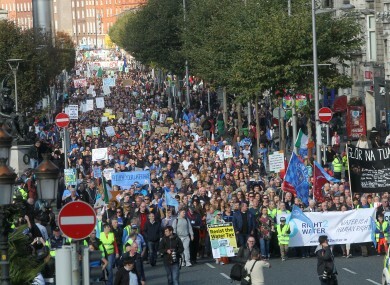 O Connell Street on Saturday as thousands flocked to the city to demonstrate against the water charges. Taoiseach Enda Kenny has said that a reverse of water charges would result in a cost equivalent to the top rate of tax being increased by 4%. In his first formal response to nationwide protests against water charges yesterday, Mr Kenny strongly defended the establishment of Irish Water while acknowledging that there were serious problems with the new utility. Fianna Fáil leader Micheál Martin said the claims by Mr Kenny were “utterly bogus” and that a 4% tax increase would provide many multiples of the money to be raised by domestic water charges. Mr Martin said Revenue figures show a 1% increase in the top rate of tax would raise €233 million in a full year. He claimed that net revenue from Irish Water is set to be about €150 million when recently announced concessions are taken into account. Mr Kenny framed the water charge protests in the context of the next election, saying those who opposed it had not alternative funding proposals. He was speaking before the Fine Gael presidential dinner in the Double Tree Hotel in Dublin last night. Mr Kenny said the Government appreciated that people had legitimate concerns but argued there had been a great deal of misinformation peddled, including the assumption that people would be paying money to a private company. “Such is not the case and will never be the case,” he said. Siptu president Jack O’Connor today backed calls for a referendum on the ownership of Irish Water. 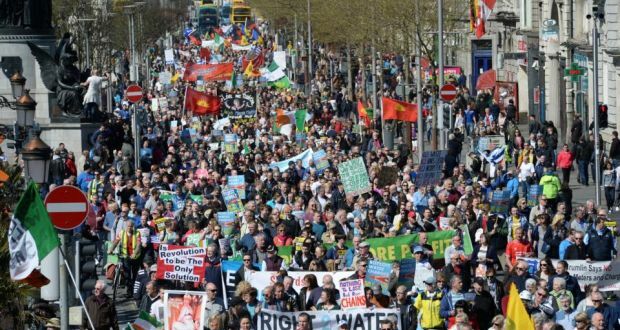 The trade union declined to support yesterday’s demonstrations but said it was now backing calls from Sinn Féin and the Greens for a referendum to ensure Irish Water remains under public ownership. Mr Kenny said the Government was now preparing a definitive plan to meet the concerns of people. “Over the next couple of weeks we will set out what people really want here which is certainty and clarity about how much they pay and what they pay for, how they can pay that and what they can get in return,” he said. He said the Government would do this in conjunction with Irish Water and its parent company, State-owned Ervia. He also argued that the set up of the company was necessary as it allowed a vehicle to be set up off balance sheet that could raise funds to repair the infrastructure and deal with the inadequate water services that had existed until now. “I am not prepared to increase income tax by four percentage points at the top rate or do away with the tax package in the most recent budget,” he said. Yesterday tens of thousands of people took to the streets in towns, cities and villages across the country to protest over water charges. Meanwhile back at the ranch? Councillor Kevin Callan said he has conveyed his deep dissatisfaction at the manner in which the Government has handled the issue to the party’s general secretary. He said there is a huge level of annoyance in the uncertainty of what is being introduced “with civil unrest being experienced across the country in a way not seen before”. Mr Callan said the “project that is Irish Water is toxic politically speaking and it is a bridge to far, those responsible for this debacle of creating such a monster have in my view no option but to take the honourable course and resign”. 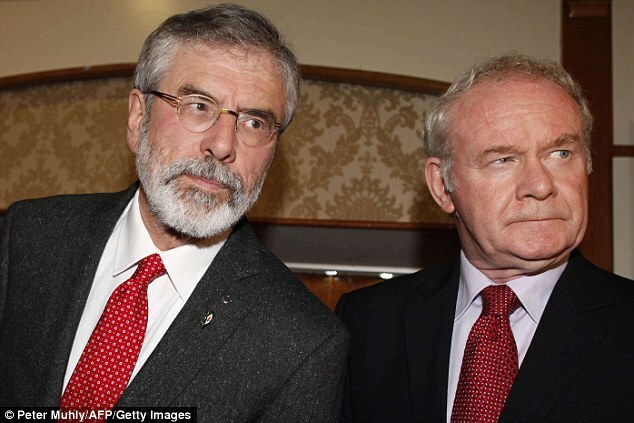 Sinn Féin leader Gerry Adams welcomed Mr Callan’s decision to resign. The Louth TD said he hoped that others in Fine Gael would follow Mr Callan’s example and stand with the people rather that the Government on the issue. Meanwhile, staff at Irish Water can benefit from an annual salary increase if it can be shown that pay has risen at rival or similar firms, as part of their controversial pay reward system, RTÉ’s This Week has learned. The ‘Pay Progression’ mechanism was agreed between management at Irish Water’s parent company Ervia and unions last year. The benchmarked pay increase mechanism is separate and additional to the payment of performance bonuses, which emerged last month. Similar to the bonus system, once a salary increase has been approved, then staff who only “partially meet” their work targets are also eligible to benefit from a pay rise, according to details of the mechanism seen by RTÉ. A spokesperson for Ervia said there was no automatic entitlement to pay increases. She said the pay increase mechanism would not apply until after the current pay freeze at Irish Water and its parent company, which is due to be reviewed in 14 months’ time at the start of 2016. Any pay increase would depend on whether there was a growth in salaries at comparable firms and whether the company felt it could afford it, she said. No pay increases had been paid yet, she said, nor would the mechanism kick into action until after the current pay freeze at the earliest. The potential salary increase is calculated using an annual survey from private consultancy Towers Watson, which examines pay at other firms. If there is “positive market movement” then this is reflected in any possible pay rise by Irish Water and Ervia staff, if it gets board approval. On top of the basic salary increase, there is also a further salary top-up for those who receive a positive performance rating. In the event of the company approving a pay increase, it means that in any calendar year some staff could benefit from a performance bonus, plus a salary increase, plus a top-up on that basic bonus depending on both performance and their existing salaries. Staff at all grades below CEO and directors reporting to the CEO are can benefit from the salary increase mechanism. The only staff who are excluded from the salary increase mechanism are those who fail to meet any of their annual targets or those whose pay is already 20% above the market median level. The extent to which staff can benefit from the possible pay increase depends on where they are within their salary range. Salaries at Ervia and Irish Water are roughly based on a range of between 80% and 120% of the market median salary. In the event of a pay rise being sanctioned, there are additional top-ups for those who are at the lower scale to median of the scale and who also achieve a high annual performance rating. In some cases, staff who perform poorly, but who are already on the higher level of the scale, can be awarded a salary increase, but with a deduction of 1% or 2% taken off the increase. In that scenario, if the recommended pay increase was 5% they would just get a 3% or 4% increase in that year. However, if the recommended pay hike was just 1% or 2% then the minus element would cancel out the gain. However, there is no mechanism to lower salaries at Irish Water or Ervia if the Towers Watson survey shows that pay at similar companies has fallen. In this scenario, there would be no pay increase, the spokesperson said. The ‘Pay Progression’ and performance bonuses were part of a suite of pay-related reforms brought in at Ervia and at Irish Water last year, which Ervia has said led to savings of €34 million over several years. It led to the withdrawal of annual guaranteed increments. There is a huge responsibility’ to get it right says Brian Hayes. 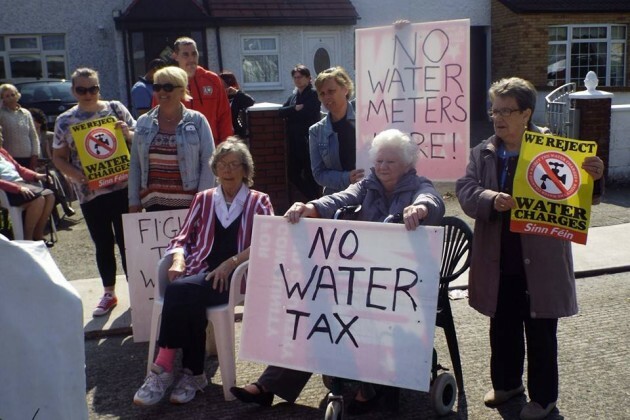 Meanwhile, Fine Gael MEP Brian Hayes has said it is essential for the Government to establish Irish Water as a public utility so that the cost of providing water services does not add to Ireland’s debt. Speaking on RTÉ’s The Week in Politics, Mr Hayes said “a huge responsibility” rests with the Government to get the matter right. The Government is set to make a final decision on how to implement the charges this month, following nationwide protests yesterday against the payments. Sinn Féin deputy leader Mary Lou McDonald said she was not going to pay her water charges due to what she termed “utterly outrageous threats” by the Government. Speaking on the same programme, Ms McDonald said: “It’s not because I can’t pay. Fianna Fail’s environment spokesman Barry Cowen has claimed that “public confidence is shot in the vehicle that is Irish Water”. Mr Cowen said his party agrees “with the concept of water charges, but want a fair and equitable system”. Meanwhile, a senior Labour TD has called for the Taoiseach and Tánaiste to take control of the controversy surrounding water charges. Former minister of state Joe Costello said the Government must rethink the establishment of Irish Water before water charges can be imposed. Speaking on This Week, Mr Costello described the debate surrounding the establishment of Irish Water as “totally inadequate”. He said “poor communication” had led to many people worrying about charges. “Very few people understand what’s actually there [in terms of charges] and I think that has been a failure as well,” he said. The Dublin Central TD questioned whether Irish Water was fit for purpose, describing the body as “an extravagant quango that’s looking for performance-related bonuses before it’s set up”. He also said that it might be useful for the Government to consider a referendum that would enshrine Irish Water as a national public utility within the Constitution. Mr Costello said he did not have concerns that Irish Water would be privatised by the current Government or any future governments. However, he said there are public concerns that the company could possibly be privatised down the line and to allay those fears it might well be useful to consider a referendum. 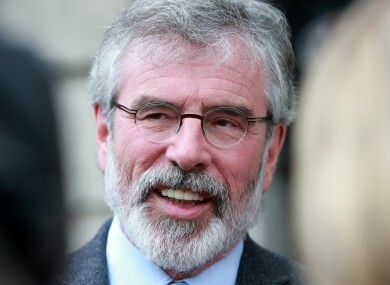 Dissatisfaction with Gerry Adams’ leadership has grown, a new survey finds. A new opinion poll has found that Sinn Féin is the most popular party in the State followed by Fine Gael. 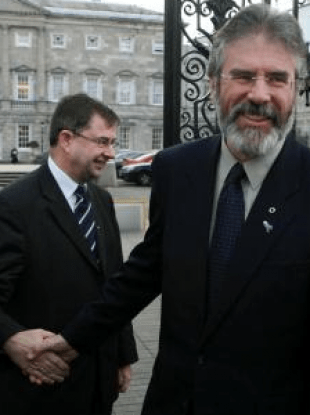 Dissatisfaction with Gerry Adams’ leadership has grown. 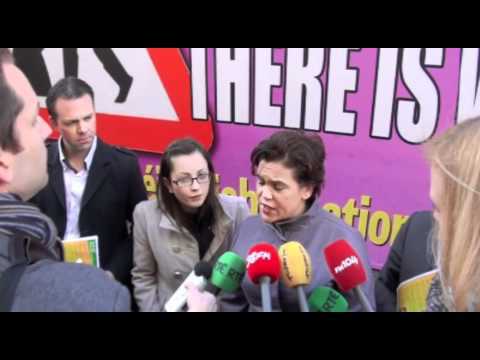 Pictured are Sinn Fein TDs Pearse Doherty, Mary Lou McDonald and Mr Adams. A new opinion poll has found that Sinn Féin is the most popular party in the State followed by Fine Gael. Support for Sinn Féin was at 26% 4 percentage points ahead of Fine Gael at 22%, Fianna Fail at 20% and independents/others at 23%, when `don’t knows’ were excluded’, according to the Millward Brown poll. Support for Gerry Adams’ party is up four percentage points since the last Millward Brown poll in September, despite the party facing questions about the Mairia Cahill controversy in recent weeks. Ms Cahill, from Belfast, claims in 1997 she was raped as a teenager by a suspected IRA member and then interrogated by the IRA about the matter. However dissatisfaction with Mr. Adams’ leadership has grown and is at 56%, up by 8 percentage points since September. Support for Fine Gael has fallen by 3 percentage points since the last poll, while Labour’s support has fallen by 2 percentage points since September to 7%. Dissatisfaction with the Government is at 73%, the poll found. Dissatisfaction with Taoiseach and Fine Gael leader Enda Kenny is at 67%, up by 9% points, it found. Dissatisfaction with Tánaiste and Labour Leader Joan Burton has grown to 56%, up 8% points since September. The result is despite a Budget in recent weeks which brought income tax cuts for many voters. However the Coalition has faced growing public outcry about forthcoming water charges which culminated in yesterday’s mass protests across the country. The protests were supported by Sinn Féin and other left-wing parties. The poll finds 41% of voters intend to pay water charges when the first bills are received early next year, 25% do not intend to pay. In the poll of almost 1,000 people taken between October 21st and October 31st voters were asked which party or independent candidate would they give their support to if an election were held tomorrow. Responding to the poll, Sinn Fein TD Mary Lou McDonald said it shows a “very strongly esabilshed trend across all opinion polls” and a deep disaffection with the Government. Does drinking lots of milk really do a body good? 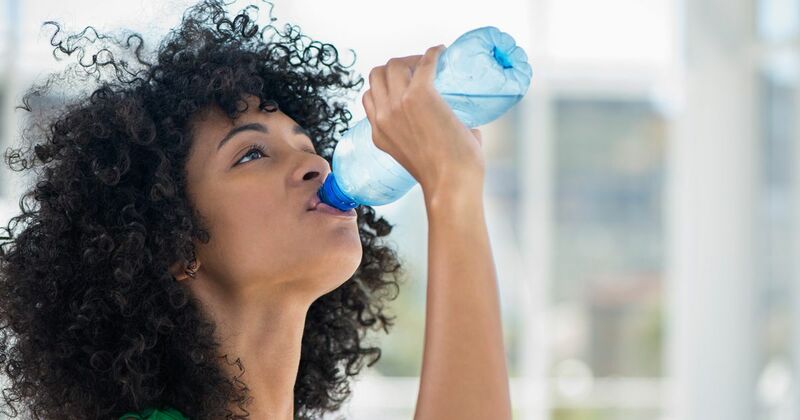 Women who drank three glasses of milk or more every day had a nearly doubled risk of death and cardiovascular disease, and a 44% increased risk of cancer compared with women who drank less than one glass per day, the researchers found. Men’s overall risk of death increased about 10% when they drank three or more glasses of milk daily, said the study, published online Tuesday in BMJ. “The study findings have, for myself, been strong enough to cut down on my milk consumption,” said lead author Karl Michaelsson, a professor in the department of surgical sciences at Uppsala University in Sweden. The study involved more than 61,000 women and 45,000 men in Sweden who previously filled out dietary questionnaires for other research projects, the women in the late 1980s and the men in 1997. All were older than 39 years of age. In addition, excessive milk drinking appeared to actually increase a woman’s risk of broken bones, compared with women who drank little milk. The risk of any bone fracture increased 16% in women who drank three or more glasses daily, and the risk of a broken hip increased 60%, the findings indicated. By contrast, a high intake of fermented milk products with low lactose content — such as yogurt and cheese — was associated with reduced rates of death and fracture, particularly in women, the researchers reported. About 55% of older adults — 44 million Americans — either have osteoporosis or are at high risk for brittle bones, Maples said. She added that the U.S. Dietary Guidelines recommend three servings of dairy per day, not just for bone health, but also to reduce the risk of heart disease, type 2 diabetes and high blood pressure. “They don’t base the guidelines on fads. They don’t base it on trends. They don’t base it on what has been the traditional advice. 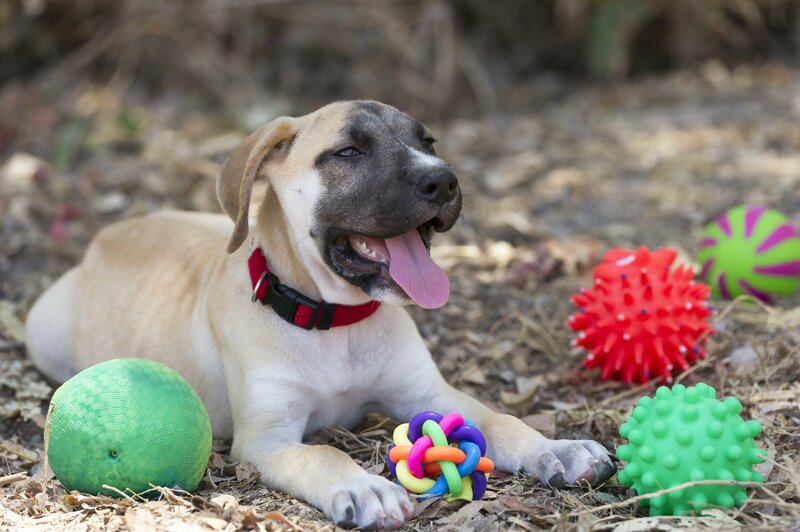 They look at the scientific evidence,” she said. When you cast your eye back over the past hundred years in the history of traditional Irish music, one of the seismic events was the arrival on America’s shores of the Sligo-born fiddle player Michael Coleman. He would be the first of a significant wave of fiddlers from Sligo to settle in New York City, giving rise to a steadfast musical phenomenon that we call the Sligo/New York tradition that carries on vibrantly to this very day. In August a new documentary was showcased at Fleadh Cheoil na hEireann in Sligo Town explaining its origins through the personal lives of Coleman and two contemporaries, James Morrison and Paddy Killoran, whose early pioneering recordings in the 1920s and 1930s would greatly influence Irish traditional musicians on both sides of the Atlantic for generations to come. The new film The Sligo Masters, produced and directed by a Sligo videographer Micheal O Domhnaill and his Omedia production company, introduces us to a legacy that is as important today as it was when the trio of Coleman, Morrison and Killoran were furrowing new ground in America. A team from Sligo led by musician and academic Oisin Mac Diarmada, historian Martin Enright and O Domhnaill came to New York a year ago to film some background for the project to reinforce the Big Apple ties and continuity. The story starts with Coleman from Killavil just outside of Gurteen in South Sligo who was born in 1891 and reared in a household of music. Like many, he tried London first and then New York, arriving in 1914. His fiddling prowess was evident early on. The Gaelic Revival started at the turn of the 20th century, and the nationalistic fervor that accompanied it sparked a greater interest in the native music and dance of Ireland. There was also a great deal of sentimentality and melancholy for the old country among many of the Irish emigrants forced to leave for Americay because of political or economic reasons. Coleman’s music embodies those elements, and with the nascent recording industry springing up in New York City in the 1920s, new recording companies were eager to hit the ethnic marketplace. Coleman, who relied solely on his music for a living, became a successful and popular artist. Those records were in great demand in America and Ireland and had a profound influence on his fellow musicians at home and abroad. Sadly Coleman’s personal life didn’t fare as well, with alcohol taking its toll. He died in 1945 and was buried in St. Raymond’s Cemetery in the Bronx. Simultaneously, Morrison from Drumfin near Riverstown immigrated to New York a year later than Coleman in 1915. Similar to Coleman, he was a dancer as well as a fiddler and ardent Gaelgoier in Ireland who had to emigrate, but he was fortunate to land music jobs as well and recording opportunities in the 1920s and 1930s before The Depression took its bite. His income was supplemented by owning a dance hall in the South Bronx heavily occupied by Irish immigrants. Then he started teaching music to a number of students and he was dubbed Professor Morrison. His health failed him and like Coleman he died at 54 in 1947 and is buried in St. Raymond’s. One of his last remaining fiddle students, Veronica McNamara from Jersey City, opened this year’s Morrison Festival in Riverstown in early August. On their heels came Killoran from Ballymote (1904-‘74) who also benefitted by the early recording craze after Coleman and Morrison had their day. He also got more involved in big band work and his Pride of Erin Band even toured in Ireland, something that neither Coleman nor Morrison ever had the chance to do. Not only did he bridge the gap from 78s to LP records, he kept the Sligo tradition flying in New York and was soon supplemented by Lad O’Beirne and Andy McGann and even Longford’s Paddy Reynolds. The fascinating 58-minute documentary also contains insightful observations from fiddler Brian Conway, the contemporary link in the chain and our resident New York music sage Don Meade and many more familiar with these masters. It can be ordered from the http://www.fleadhcheoil.ie website. The video’s release this summer was especially relevant given the fact that Sligo Town hosted Ireland’s biggest cultural celebration of Irish traditional music for 10 days for the Fleadh Cheoil na hEireann which was opened by President Michael D. Higgins. When Sligo last hosted the fleadh in the early 1990s they celebrated two other important links in the Sligo/New York musical chain when Martin Wynne (Bunninadden) and Andy McGann (born in New York to parents from Sligo) were honorary chairmen for their work in New York. Sligo is known for its vast contributions to traditional music in the past and the present. So it is no surprise that an abundance of local talent fueled this year’s fleadh with on gig rigs, television screens and sessions indoors and outdoors. With crowd estimates of 350,000 said to inundate the town during the festival with a spend of approximately $50 million, Sligo was making new history that would bode well for another successful fleadh returning to Sligo in August of 2015. Equally impressive for those who could not make Sligo this past August was the extensive media coverage both on television and radio through TG4, RTE, BBC and RNG. TG4 presented nine hours of live broadcasts over its Irish-language television network reaching almost a million viewers over the final weekend of the fleadh. Facebook and Twitter was abuzz with live results from the myriad competitions that took place over four expanded days this year. “The land of green. Éire, Ireland BlueDot,” tweeted Alexander Gerst to his 181,000 followers as he passed above the Emerald Isle. Another shot from the International Space Station revealed it was just as clear and crisp in Dublin this afternoon, as first time astronaut Reid Wiseman revealed in his birds eye view of the capital. “Day 160 and my first glimpse of #Dublin #Ireland through the 800mm,” the flight engineer tweeted to his 357,000 followers. The pair are among five men and one woman living aboard the station, a $100 billion research laboratory that flies about 418 km above Earth. The current Expedition 41 trio – Wiseman, Gerst and Max Suraev – are returning home November 9, Nasa said. They checked their Sokol suits, which are worn during a Soyuz launch and entry, for leaks and started preparing for their departure. In June Wiseman posted a snapshot of the Emerald Isle seen from space tweeting: “Hello Ireland, been waiting to see you”. Previous tweeting astronauts include two-time shuttle veteran and Hubble Space Telescope repairman Mike Massimino (1.3 million followers online) and former station commander Chris Hadfield of Canada, who has nearly 1.1 million followers on Twitter. 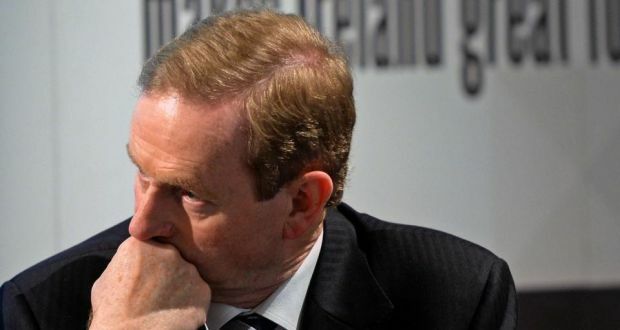 An Irish voter survey shows a four point fall in support for Enda Kenny’s party to 25%. Support for Taoiseach Enda Kenny’s Fine Gael is down four percentage points while support for Sinn Fein was up four points. A new opinion poll has put voter support for Sinn Féin just one point behind Fine Gael. Sinn Féin is at 24% while Fine Gael is at 25%, when ‘don’t knows’ are excluded, according to the Sunday Independent/Millward Brown poll which was published today. Support for Fine Gael is down four percentage points while support for Sinn Féin is up four points since the last poll was taken in April , before the local and European elections. Taoiseach Enda Kenny’s satisfaction rating remains unchanged at 27% while support for Sinn Féin leader Gerry Adams is down one point to 25%. Support for Labour was up by one point to seven per cent. The party has changed leader since the last poll was taken. However the polls shows the party’s new leader Tanaiste Joan Burton is far more popular than her predecessor Eamon Gilmore. Ms Burton’s satisfaction rating is at 27%, 11 points higher than Eamon Gilmore in a previous poll (16%). Despite this boost for Ms Burton dissatisfaction with the Government is up by three points to 69 per cent while half of voters believe the Government will run its full term. Fianna Fáil has also seen a rise in support, up by two points to 20%. Its leader Micheál Martin has seen a one percent rise in his satisfaction rating to 27% while The poll shows support for the Greens is down one point to one per cent while Independents and others are up two points to 23%. A march protesting the Israeli treatment of Gaza, organised by the Ireland Palestine Solidarity Campaign (IPSC) today, which started at the Garden of Remembrance and finished at the Dept of Foreign Affairs on St Stephen’s Green. At least 2000 people marched from the Garden of Remembrance in Dublin city centre today, to call for an end to the violence in Gaza. Fliers were handed out calling on people to boycott Israeli goods. 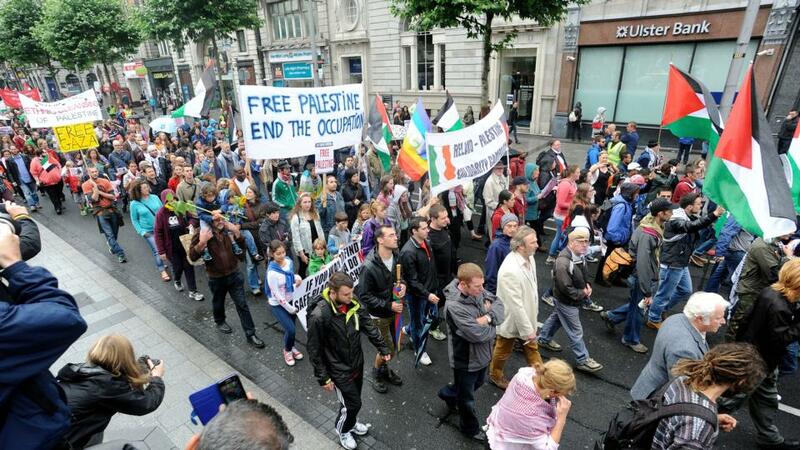 Thousands of people are taking to the streets across Ireland today, to call for an end to the violence in Gaza. This is the fourth Saturday in a row that the protests have been held. It is organised by the Ireland-Palestine Solidarity Campaign (IPSC) and supported by the Irish Congress of Trade Unions, SIPTU, Trade Union Friends of Palestine, Gaza Action Ireland, TEEU (The Power Union), Academics for Palestine, Irish Anti-War Movement, Sadaka – The Ireland Palestine Alliance and the Peace and Neutrality Alliance. Protests will also be held in other towns and cities including Cork, Derry, Limerick, Galway, Armagh, Killarney, Clomel, Nenagh, Bundoran, Ennis and Sligo. IPSC national coordinator Kevin Squires said: “The Minister for Foreign Affairs has made it clear that Ireland will not support any meaningful concrete action aimed at ending either the Israeli onslaught on Gaza or Israeli impunity in general. Mr Squires said the IPSC wants the Government to call for the suspension of Israel from the Euro-Med Agreement, for an international and EU arms embargo on Israel, to enact legislation to ban the importation of Israeli goods, and to expel the Israeli Ambassador to Ireland. Since fighting began on July 8th, more than 1,650 Palestinians — mostly civilians – have been killed and more than 8,000 wounded, according to al-Kidra. Israel has lost 63 soldiers and three civilians, its highest death toll since the 2006 Lebanon war. Dozens marched in Dublin this afternoon to call for increased funding for mental health services. More than 40 young people joined a march in Dublin City Centre today calling for increased funding for mental health services. One of the march organisers, Jamie Harrington (16), said he had been prompted to get involved after two of his friends died by suicide. 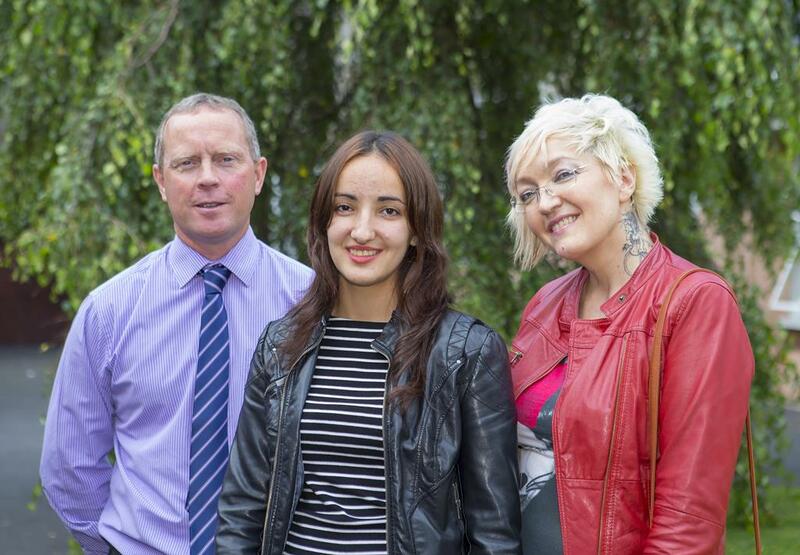 He volunteers with TeenLine Ireland, a part-time phone service which had its funding cut earlier this year. 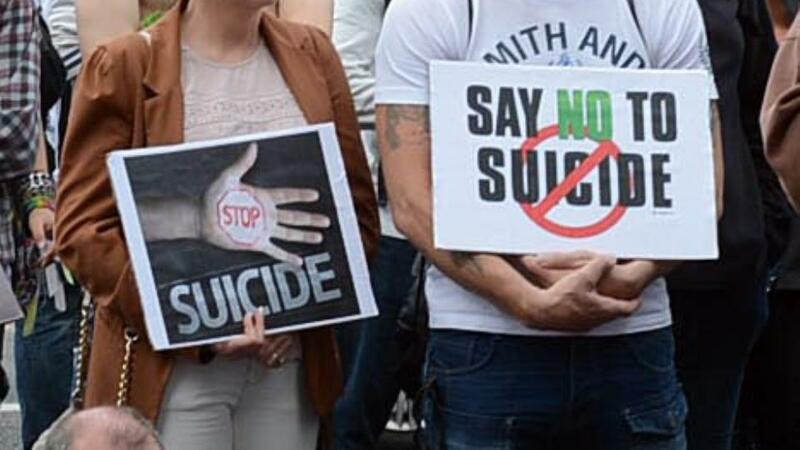 “This country has a huge problem with suicide and people taking their own lives unneccessarily. We’re here today to say you’re not alone,” he said. Luke Clerkin (22) co organiser of the march said Action For Suicide Prevention Dublin will continue to hold protests against cuts to mental health services. Both Mr Harrington and Mr Clerkin said they have battled with depression in the past but have managed to overcome it. “We want to make sure the Government know that so many people are suffering with mental health problems and that Teenline is a vital service. 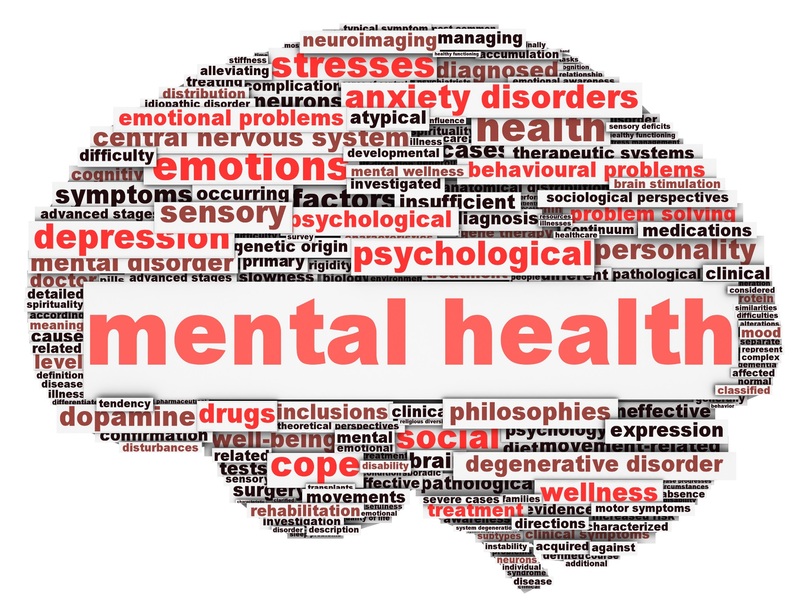 Most people will have to deal with mental health issue at some stage in their life so we need to ensure that the funding for mental health services isn’t cut,” Mr Clerkin said. Linda Arnold, a parent who had come up from Mullingar, said the Governmentis ignoring a “whole generation of young people”. 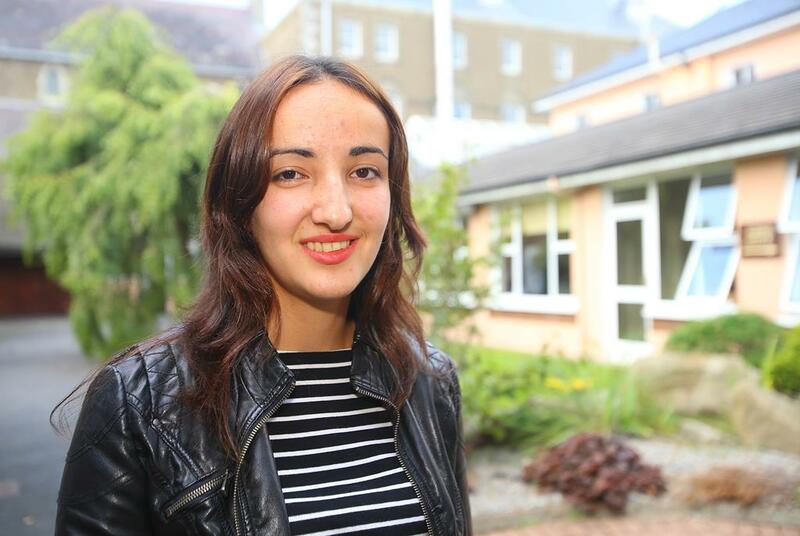 “Our President Michael Higgins is a patron of Console Ireland and I find it offensive that the adults in our Government are not taking care of our teenagers,” she said. Mayo will open it’s first whiskey distillery in over 100 years in Lahardane which will become the home of the Nephin Irish Whiskey brand which was created by Paul and Jude Davis a husband and wife team whose aim is to have the distillery up and running in the next year . The Whiskey is described as a distilled Peated Single Malt Whiskey. Paul explains the reasons for choosing the Lahardane area as the prefect location to make whiskey and what make this whiskey different to other whiskey’s produced in Ireland ,“The location is one of the best in Mayo and probably in Ireland because it is situated between Nephin and Lough Conn and that is a perfect situation. To me this is the best location, you could not ask for better. What we do differently is that we will produce peated whiskey where in Ireland you would not normally use peat to dry the barley. They would not have used coal or gas 150 years ago but we are going back to that traditional side. Paul went on to explain that he was been working closely with ex-distillers from alcohol giant Diageo who will advise them on putting in a ‘state of the art distillery’ as paul hasn’t a background in the alcohol industry, their expertise are a vital component to the company success. The distillery will be located in the heart of the village near Barrett’s shop and as well as distilling whiskey Paul envisages the plant being part of the north Mayo tourist trail which he believes can attract up to 40,000 visitors per year to the area. He hopes to create 18 full time jobs and believes the business has a huge growth potential. Planning for the distillery has not been approved but Paul explained that investment in the region of €3 to €4 million has been lined up by international investors with links to the county. The project involves the renovation of several vacant buildings in the village, including a stone granary from the 1800s. Paul says, will be targeted at the international market with an emphasis on the United States and will be a long term venture. “We will be targeting the premium and super premium side of the market but we will look to use the Mayo links abroad with the States being the premium market place. We will be using different flavours such as heather and gorse because we feel that flavour is more important now than before. An Taoiseach Enda Kenny will officially launch Nephin Irish Whiskey in Murphy’s Bar in Lahardane next Monday at 3pm. Testosterone levels fell with the emergence of modern-man traits. A new research has found that the emergence of modern society caused the fall in the levels of male reproductive hormone testosterone. According to scientists, the first Homo sapiens appeared 200,000 years ago but they picked up traits such as language, cave painting, economic trade and hunting after 500 centuries. For the study, about 1,400 ancient skulls were examined by the researchers. A total of 13 skulls were more than 80,000 years old, 41 were between the age of 10,000 and 38,000 and 1,367 skulls from various modern groups of people. The researchers claimed that the reduction of testosterone however proved a blessing a disguise for humans as it allowed them to cooperate more and became less aggressive. This helped the people in developing new tools and arts. Robert Cieri of the University of Utah says that the cooperation helped in cultural exchange and technological innovation. The shape and size of the skulls were used by the researchers to estimate the relative levels of testosterone. Human heads get rounder as the eyebrow ridges receded. The researchers, however, failed to explain r whether it was the testosterone levels that decreased or whether the humans had less testosterone receptors as they started to develop. The researchers observed the levels of the hormone to affect social interactions in primates, our closest cousins. The study showed that testosterone surges in male chimpanzees during puberty while it remained low in bonobos. Under stress, a chimp releases more testosterone while a bonobo releases the stress hormone cortisol. In chimpanzees, social interaction are estimated to be violent than in bonobos the brow ridges are larger in chimps than in bonobos. The findings of the study are published in the journal Current Anthropology. Scientists claim the flavour that gives food its “deliciousness” could help with weight loss and regulating appetite. Umami, which means delicious in Japanese, is recognised as the fifth sense of taste – the others being sweet, salty, sour and bitter – and helps people to fill full, according to new research from the University of Sussex. It is the chemical glutamate, a protein found in meat and other savoury foods such as Marmite, parmesan and shiitake mushrooms, which gives food its tastiness, a spokeswoman said. Professor Martin Yeomans, who was involved in the study based on the psychology research of Dr Una Masic, said: “We know from past research, including previous work at Sussex, that foods with a high protein content tend to satisfy your appetite better than carbohydrate and fat-rich foods. The research, published in the American Journal of Clinical Nutrition, looked at the effects of two common food additives on levels of hunger: monosodium glutamate (MSG) and inosine monophosphate (IMP), which are known to produce the flavour of umami. They were added to both a low-energy version of a spiced carrot soup and the same soup with energy added covertly as a mixture of protein and carbohydrate. Dr Masic then tested how hungry 26 healthy volunteers felt and how much they consumed at a later meal. The soups enhanced with the umami-taste were found to reduce the amount subsequently eaten by participants when compared to the same soup without added umami, tests suggested. Those who ate the umami soup also did not feel hungrier as a consequence of eating less, the university spokeswoman said. The effects of umami proved stronger when consumed in the higher-energy soup which suggested that umami-enriched foods may help people with weight concerns to regulate their appetite. There have been many observations about he closure of garda stations, mostly in rural Ireland. People speak of the value of manned local stations, with gardai living in the community. Sounds fine, but the reality is that gardai largely no longer live in those areas as they were once obliged, but commute there from other areas, maybe a large town or family farm, or other part-time business 20 or 30 miles away. Many times they work in larger centres at the expense of the smaller station they are attached to. I know of one rural garda station where the lone garda is absent for over a year, has not been replaced, and this huge garda building is closed for all that time. Yet it must be heated and maintained. I have no doubt that cost may also be a factor in proposed closures, but why not get value for money? The matter was also broached at the funeral of late Garda Donohoe by Fr Michael Cusack in a rather political way. This awful murder had nothing to do with closing small rural garda stations. What is largely being done here is that stations with the strength of just one (in 88pc of cases) are being shut. And 30pc of stations earmarked for closure are within five miles of another station and 86pc are within 10 miles of another station. In addition, some smaller districts are being amalgamated – Boyle and Castlerea, Swinford and Claremorris, Ballyshannon and Glenties. A district HQ station, managed by a local superintendent with staff, has to be open 24 hours a day, often to take maybe a few phone calls, sign a passport form or deal with a caller. There is a public perception that such districts must be kept open 24/7/365, but that is a fallacy. Members of the public have, in other circumstances, to travel to two or three centres per county to tax vehicles and pay charges. Keeping stations open full-time requires huge man-hours that could be better spent outside doing police work. In Dublin and other large urban areas the closure of garda stations should not be a problem, as what people want there – as in all areas – is a garda response to crisis situations. Tallaght, with one station, has a population the size of Limerick, which is served by several stations. Sinn Féin has published legislion that would create an extra bank holiday, to be called “Republic Day”. 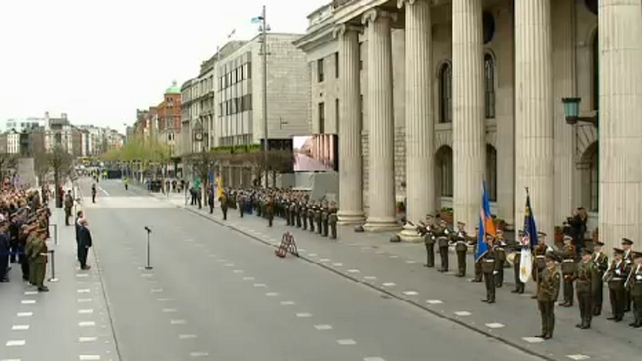 Party spokesperson Aengus Ó Snodaigh said the holiday would be on 24 April, the aniversary of the reading of the 1916 Proclamation outside the GPO by Padraig Pearse. Mr Ó Snodaigh said this would bring Ireland, which currently has nine bank holidays, closer to the European average of 11. He said the holiday would mark the sacrifice of men and women who gave their lives in pursuit of an independent Irish Republic. Asked if that included members of the Provisional IRA who died in the course of the Troubles, Mr Ó Snodaigh said it did. Inspectors who examined the Health Service Executive ‘s (HSE) care of children in foster families in the north west suburbs of Dublin last October uncovered a catalogue of poor practice. The HIQA report looked at the 368 children, some of whose own mothers or fathers were dead, who were in foster care in 222 households in the region. *Some 38 allegations and concerns about foster carers were made in the previous 12 months and a significant number were confirmed. But many of the children remained in the homes even though not all had a “safety plan” in place. *Children in some cases were placed with families even though they were not approved by an overseeing foster committee. Allegations were made against their foster carers and this was supported by documentary evidence. * Inspectors said files were unclear about how the level of risk to children was assessed and documentation was “poorly organised or missing”. * There were significant delays in investigating allegations and setting up child protection conferences. * Files failed to show that all foster carers were vetted by gardai. 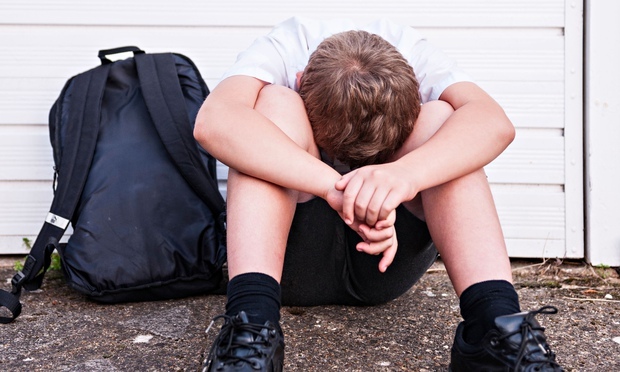 * Although social workers were committed, as many as one in three of the children had only been assigned a social worker three weeks before the inspection. * Some children from the one family were split up even though it was recommended they stay together. * Around 41pc of children had to be sent to homes outside Dublin north west, which includes suburbs such as Finglas and Blanchardstown, because there were not enough families to care for them. Although many children were happy in their homes, the inspectors said the practices to ensure their protection were inadequate. The report details an action plan which social services in the region must urgently comply with to put the safety of children first. 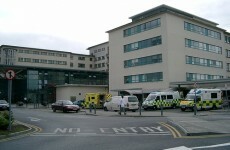 There are plans for a 75-bed ward block at GALWAY University Hospital. The proposal from the HSE includes a link corridor to connect over three storeys to Block 2A and at ground floor to the existing circulation corridor adjacent to the maternity wing. It also provides for demolition of a single-storey ward, temporary buildings and plant rooms which are being displaced by the proposed ward block ground floor plan. The application states that the interim ward block aims to address physical infrastructure and capacity issues at GUH to deliver services in the most appropriate model while contributing to improvedprevention and control of infection. It’s to provide replacement accommodation for existing older ward accommodation, including Nightingale wards, which do not meet any reasonable standard for a modern acute care service. City planners are due to make a decision on the plans in April. 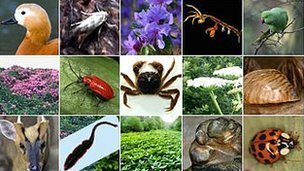 Invasive alien species pose a greater risk to Europe’s biodiversity, economy and human health than previously thought, a report has concluded. The European Environment Agency (EEA) has compiled a list of 28 invaders that highlight the range of threats facing ecosystems in the continent. Non-native species, such as food crops, can also be beneficial, the study adds. The reports have been published ahead of a high-level meeting at the European Parliament to discuss the issue. It is estimated that there are more than 10,000 non-native species in Europe, of which at least 15% are deemed to be “invasive”, which are organisms that are known to have negative ecological or economic impacts. Invasive alien species (IAS) are considered to be one of the main threats to biodiversity, explains EEA executive director Prof Jacqueline McGlade. “In many areas, ecosystems are weakened by pollution, climate change and [habitat] fragmentation,” she says. “Alien species invasions are a growing pressure on the natural world, which are extremely difficult to reverse. “Competition, predation and transmission of diseases between alien and native species are frequent and can pose a major threat to native species,” the authors observe. One species whose spread and impact has been well documented is Japanese knotweed (Fallopia japonica). It can reach four metres in height, growing up to 30cm in a day. Its powerful root system can reach depths of three metres into the soil and spread up to 20 metres, making it almost impossible to eradicate once it becomes established. The report says the plant forms dense stands and squeezes out other plant species and outcompetes native plants, resulting in a botanical “monoculture”. The publication adds: “The rhizome system of knotweeds can seriously damage infrastructure, such as buildings, river bank stabilisations and water channels, railway tracks and roads, and construction land. An IAS that poses a direct threat to human health is the Asian tiger mosquito (Aedes albopictus), which has been linked to the transmission of more than 20 human pathogens, including yellow fever and dengue. The species is an “aggressive daytime‑biting insect” and its distribution has spread rapidly in western and southern Europe over the past two decades. On Thursday, Czech MEP Pavel Poc is hosting an event at the European Parliament in Brussels that will look at ways to tackle the threat posed by IAS. Organised by conservation groups IUCN and Birdlife, the high-level debate at the European Parliament in Brussels will consider measures that could be taken within the EU policy framework to mitigate the present and future threats from invasive alien species. The EEA report warns that, given the increase in both goods and people moving around the globe, the “number and impact of harmful IAS in Europe may grow significantly in the future”. It adds that changes to the climate may provide opportunities for IAS to proliferate and spread. “In this situation, some IAS might initiate complex, unpredictable cascades of effects,” it warns. The EEA suggests that the best way to tackle the threats posed by invasive species was through a “combination of preventative measures, early detection and rapid response to incursions, with permanent management only as the last option”.